So you thought that being in transit through an airport in the United States wouldn’t involve immigration checks. How wrong you were, my dear friend. And how wrong I was too. It was only one week before travelling via the USA that I realised I would need an ESTA (Electronic System for Travel Authorization). Even though I would be on US ground only for two hours, and never leaving the airport. I would be “in transit”. An ESTA is granted upon application to citizens of countries that are part of the Visa Waiver Program, there is also a payment of US$14 fee. You must have been granted an ESTA before you start your trip and the official website to use is https://esta.cbp.dhs.gov. An ESTA is usually granted within hours, at the most, but leaving it to the last minute is never a good idea. Also steer away from any third-party websites that offer to assist with your application: they charge extortionate fees and it is unclear what they do with all confidential data collected! As you check-in and drop your bag at departure, you will be asked about your ESTA approval. It is a good idea to keep a screenshot of your approval number on your smartphone. Once you land at your transit airport in the USA, you have to use self-service machines to scan your passport and provide your fingerprints. The machine then spits out a slip that you will show to the immigration officers. If you have the “right” slip, you will be directed to the way out, i.e. the baggage claim area. If instead your slip has a big “X” in the middle – like it happened to me – making you feel like you are about to be refused permission to remain on US ground, you get directed to the immigration desks where your passport will be re-scanned and all your fingerprints will be taken again. Any complicated immigration issues will be assessed on an individual basis by the officers. 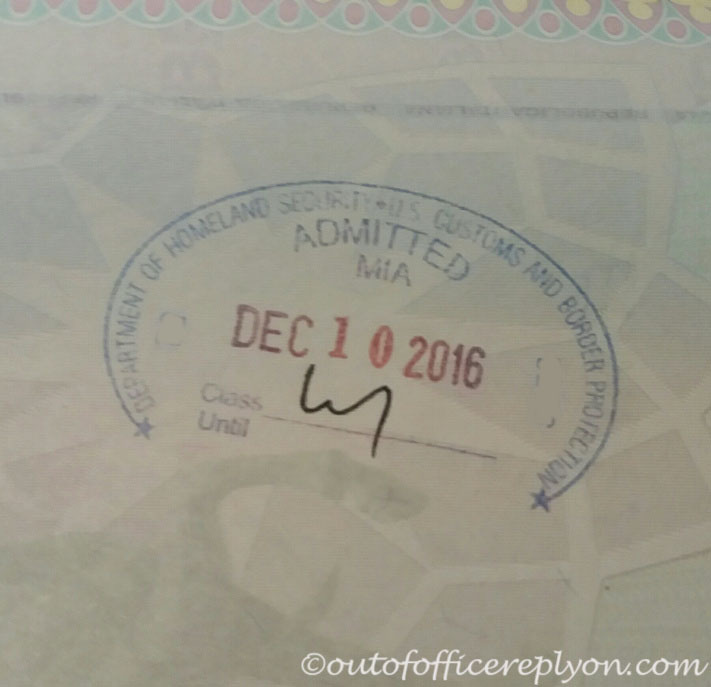 And yes, you still get an entry stamp on your passport! Finally you reach the baggage claim area, most likely confused as to what you are supposed to do (“didn’t my luggage get checked in all the way to my final destination?” will pop up in your mind), where you see a sign for Connecting Flights in the distance. It all seems a bit over the top for a transit through an airport in a country where you will not stay. But I guess these days it’s better to be safe than sorry. One final comment: having transited through both Miami and Dallas-FortWorth airports I can only support the comments from my American friends that immigration at Miami airport is the worst in the country! 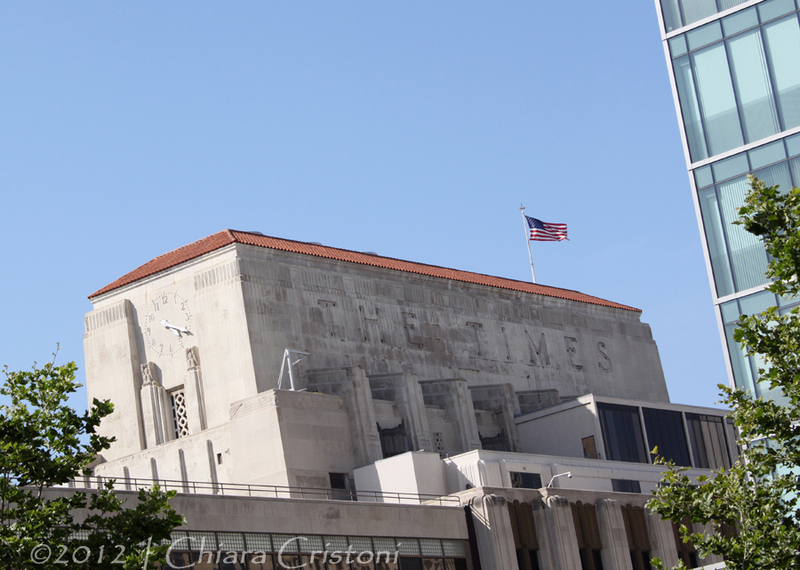 I didn’t warm to the “classic” LA much. 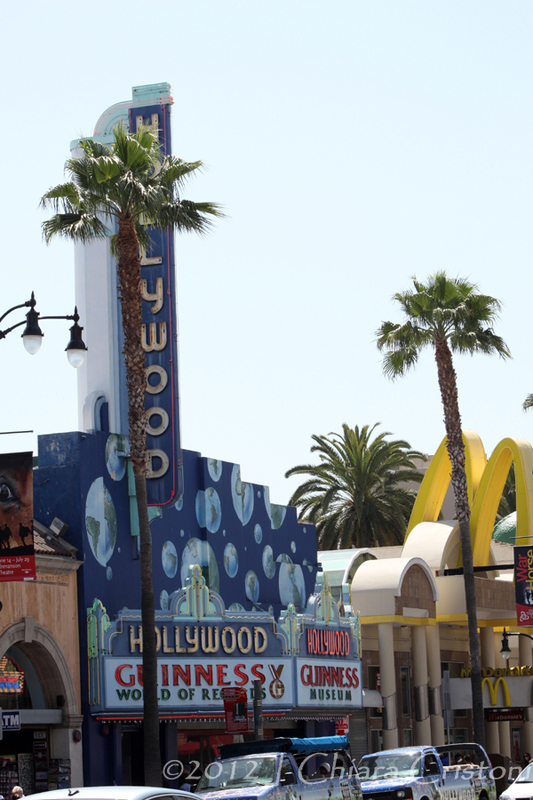 We spent three days there but after the empty spaces and the wilderness of Arizona I found LA quite suffocating and heartless. 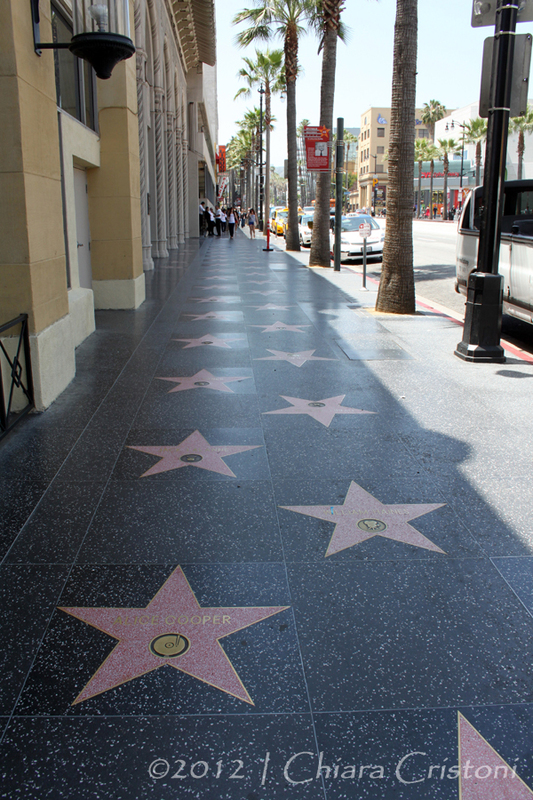 We started by ticking the expected boxes: Hollywood, Beverly Hills, Rodeo Drive, the Walk of Fame, the Chinese Theatre with handprints and footprints of movie stars. 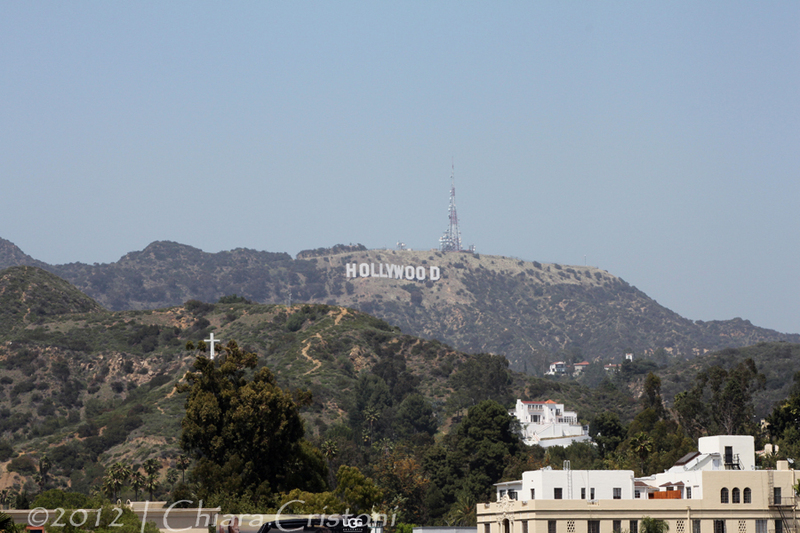 I wasn’t particularly impressed, though, maybe having seen it all on TV and movies was part of the spoilt surprise. 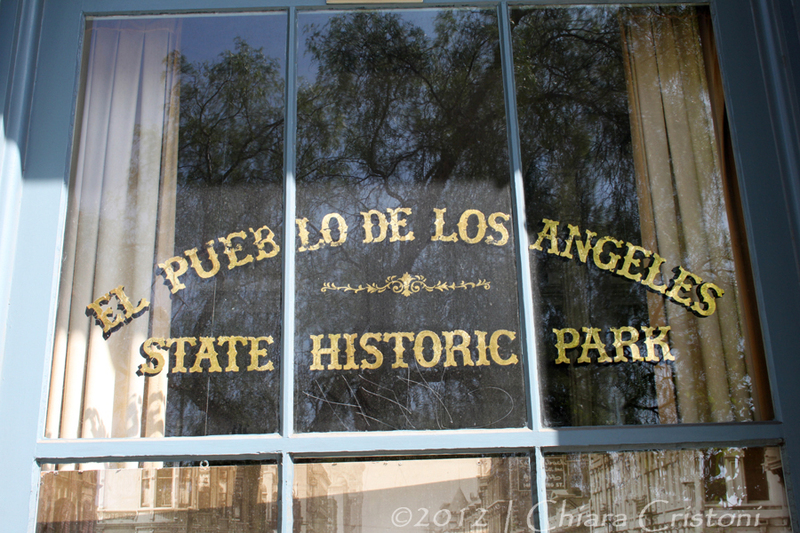 I preferred the old part of town – part of El Pueblo de Los Angeles Historical Monument – to the modern one. 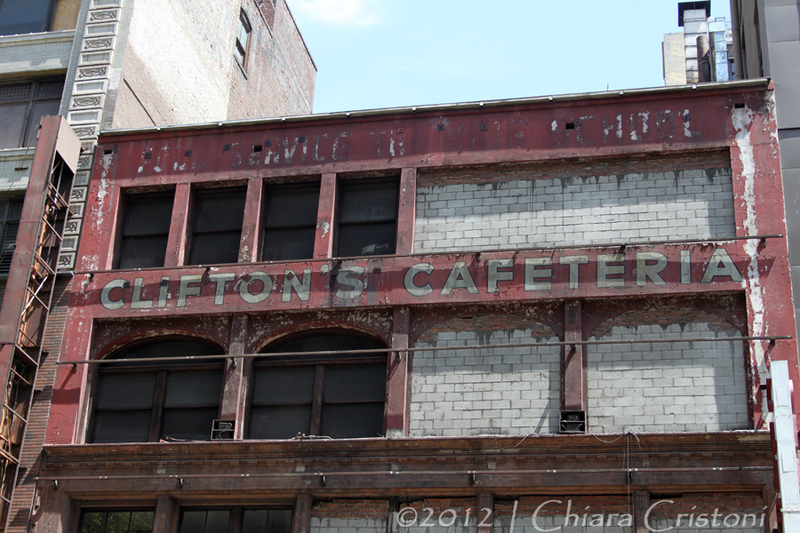 The old and sometimes rundown buildings had more character. 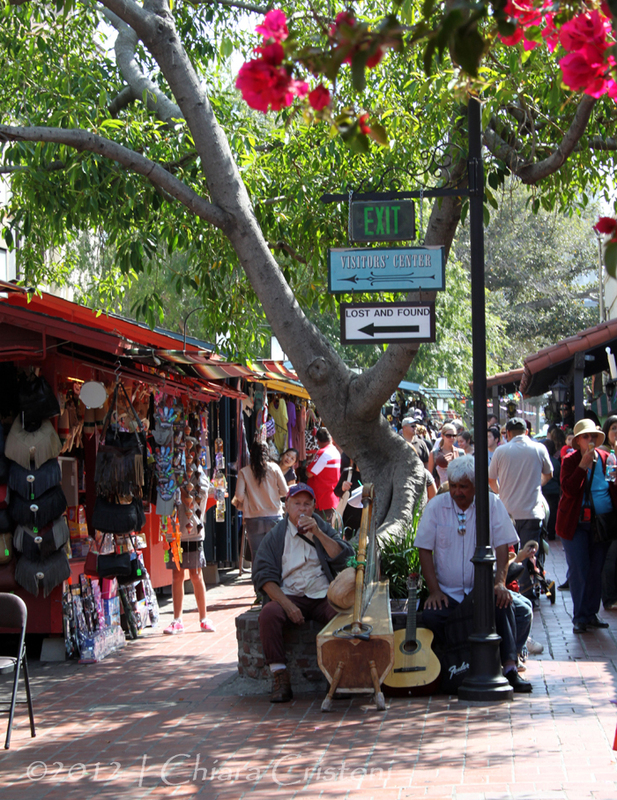 The old Mexican quarter was colourful and full of life. 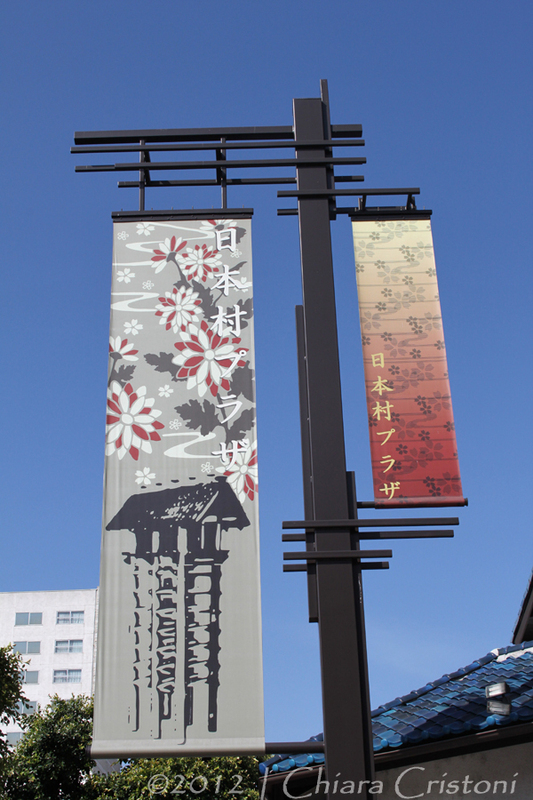 And then there was Little Tokyo, a part of town that was declared a National Historic Landmark District in 1995. And I can save the beachfront neighbourhoods too. 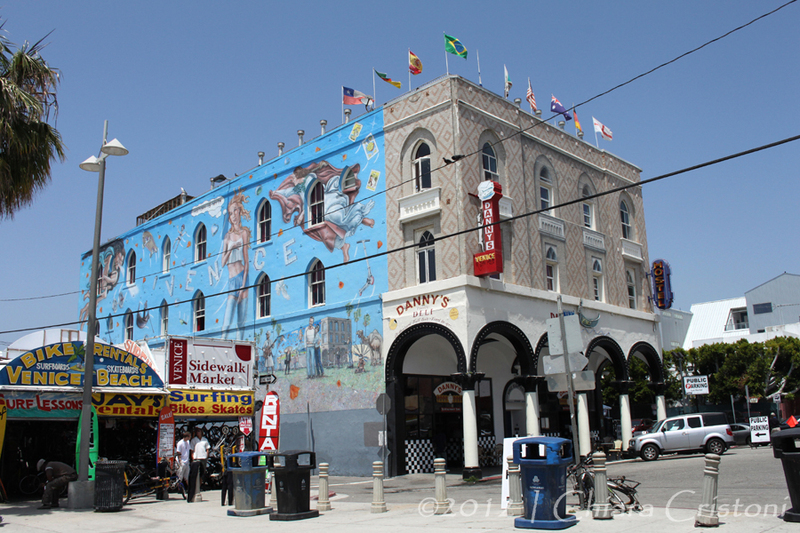 Venice Beach is a crazy enclave full of eccentric characters. 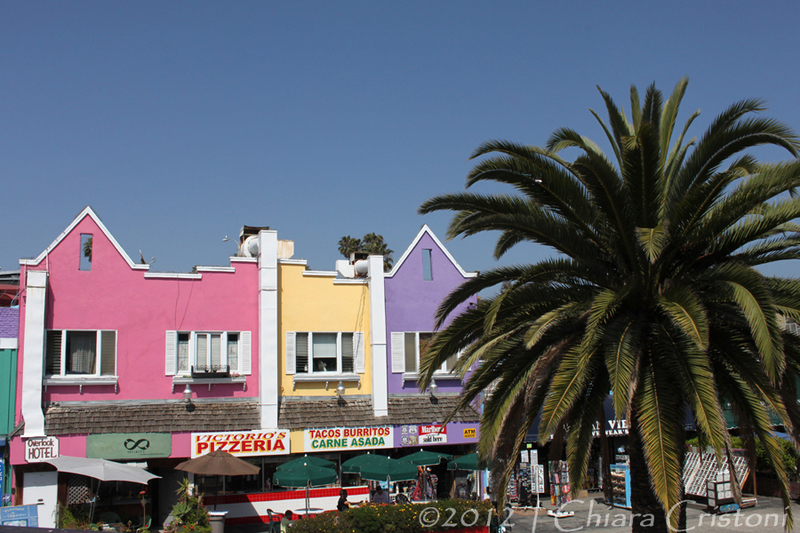 It reminded me a bit of Camden Town in London (with a beachfront though). Rollerskating and cycling along the promenade seem the national sport here. 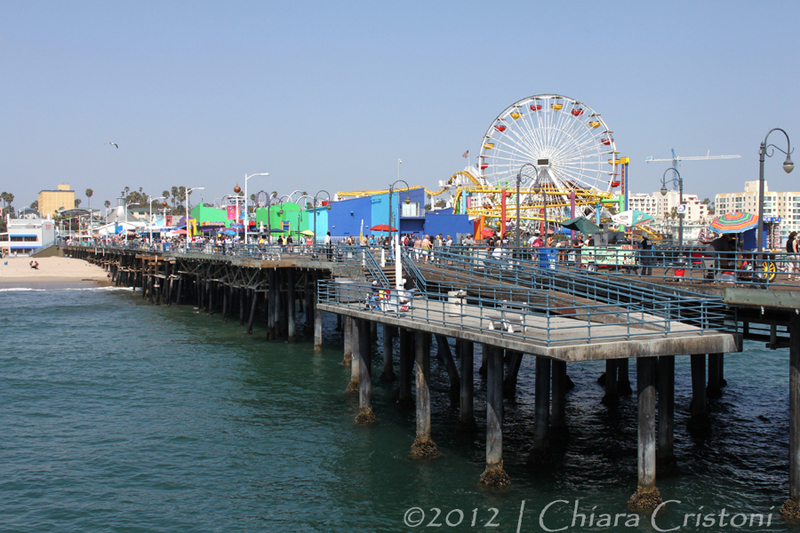 Santa Monica – with its world famous Pier – is where Route 66 ends, as well as a wealthy area with some nice seaside cafes and bars. 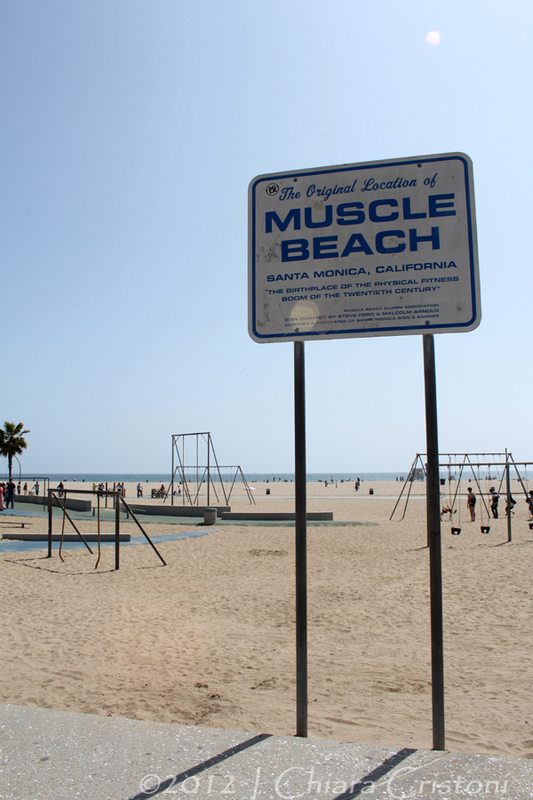 And did you know that the original “Muscle Beach”, home to physical fitness by the seaside, is located here? 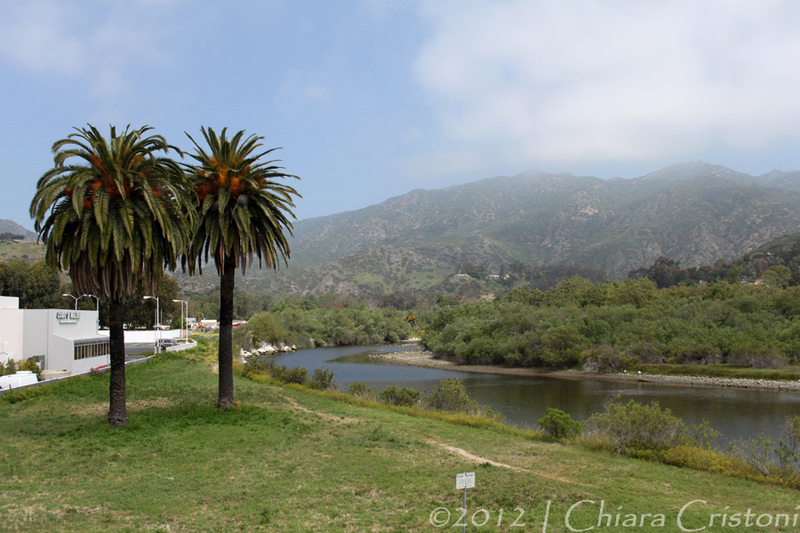 Malibu, another residential area for the rich and wealthy, has a beautiful coastline and an ecosystem (Malibu lagoon) featuring wetlands, flower gardens and sandy beaches. 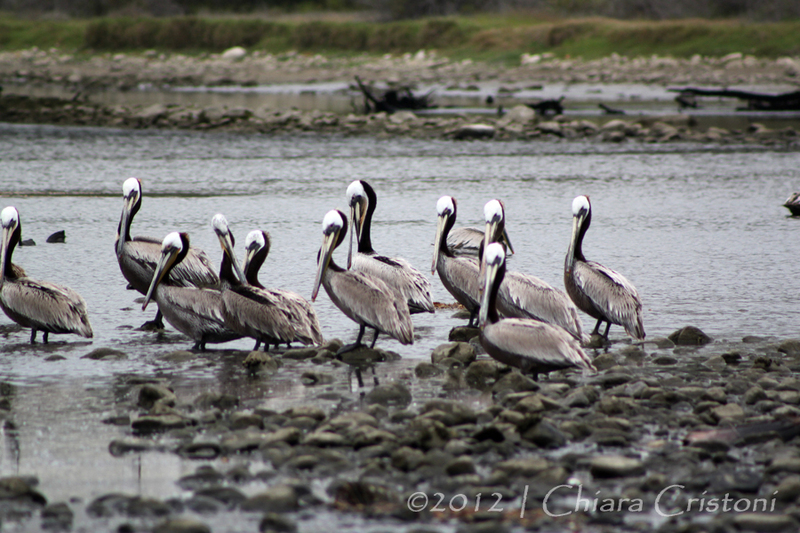 And pelicans! 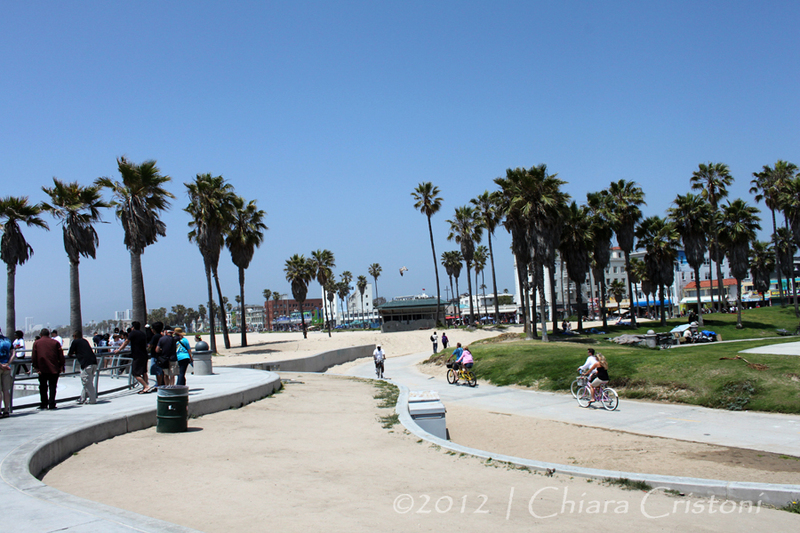 After 16 days on the road, our trip terminated in Los Angeles. I had a last minute haircut at a Mexican hairdresser by the motel then headed to LAX airport for my flight back to Europe. With a bag full of memories that will last a lifetime! 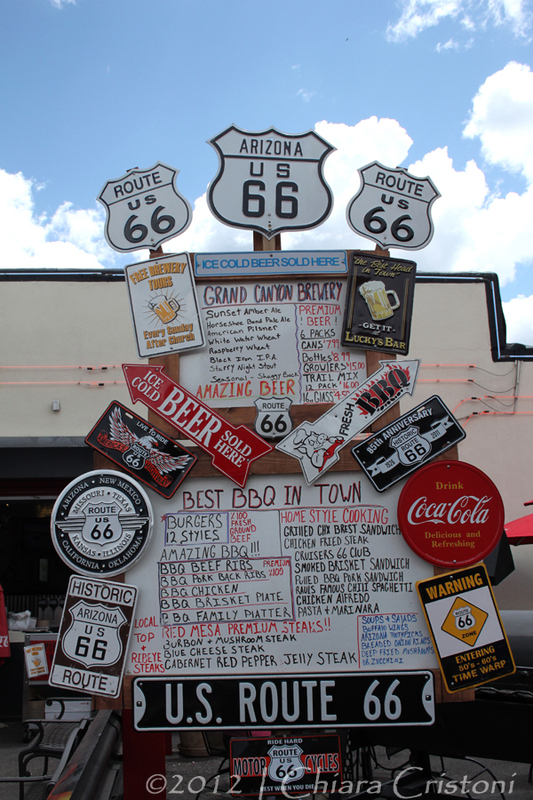 Evoking images of long and empty roads, as well as feelings of never ending freedom, Route 66 has long represented the dream for most travellers to the States. 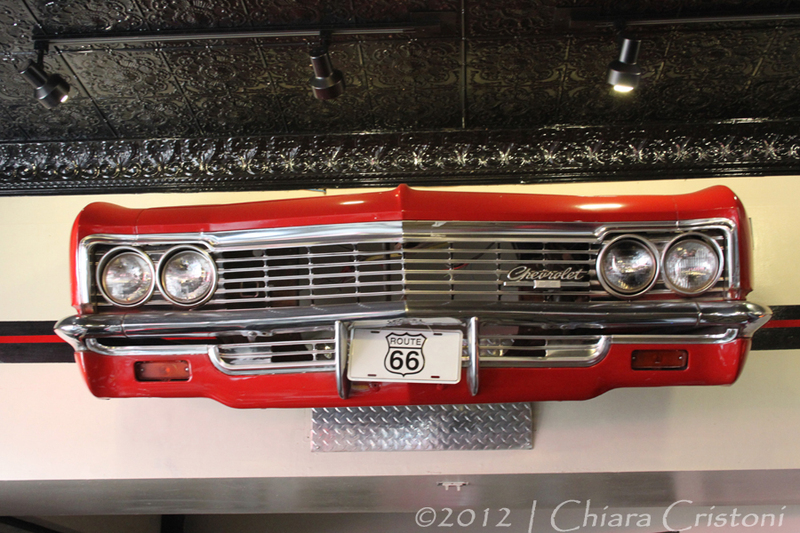 Also known as the Mother Road, Route 66 was one of the original highways within the U.S. Highway System. 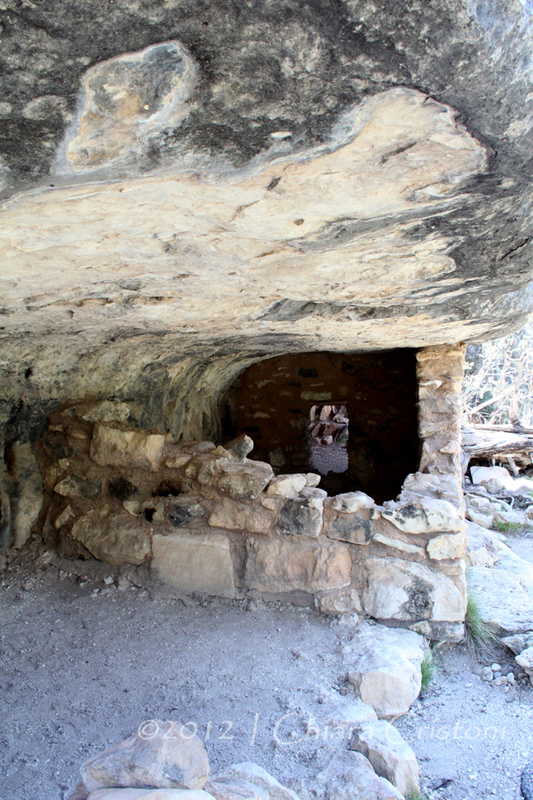 Nowadays, only portions of it still remain in use and have been designated as National Scenic Byway. Yet, you cannot avoid feeling slightly overwhelmed at the sight of a road sign that tells you that “you are there”! 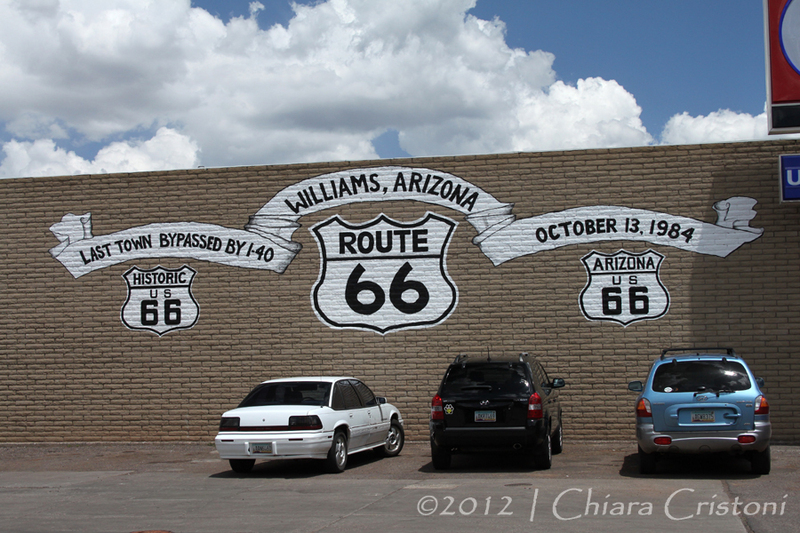 Our closest encounter with Route 66 occurred in and around Williams, Arizona. 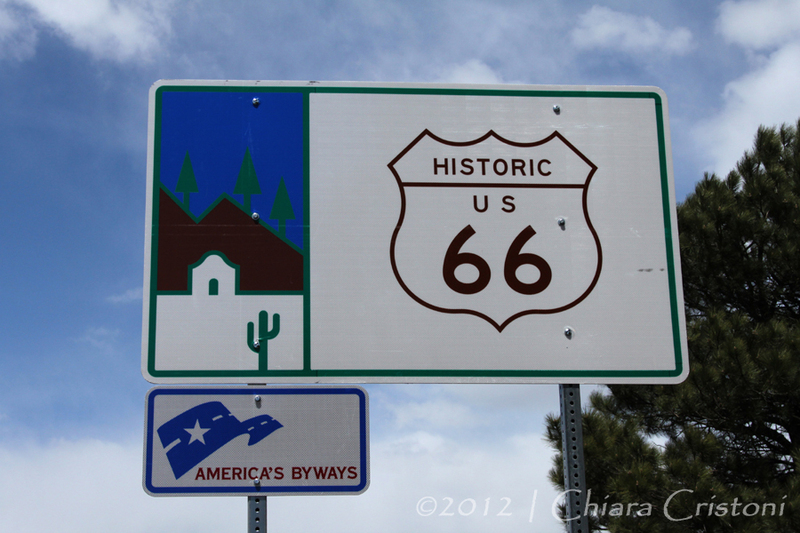 Williams is the last town to have had its section of Route 66 bypassed by Interstate 40 (I-40) in 1984, and the best preserved stretch of the Mother Road is located here. 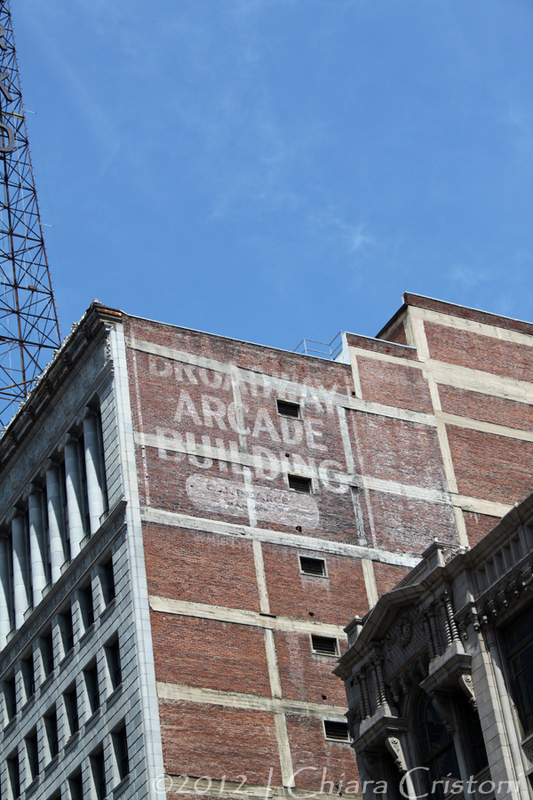 Historic signs appear everywhere, and the same applies to memorabilia stores. 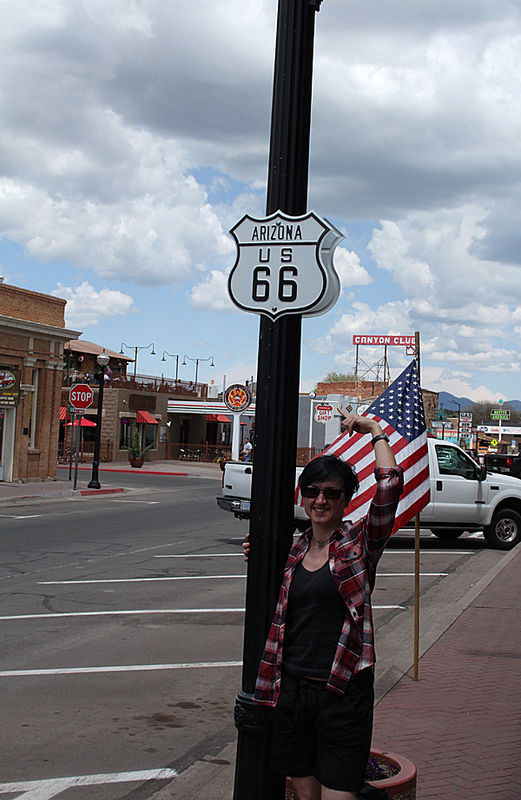 Me and the Route 66 sign, a touching moment! 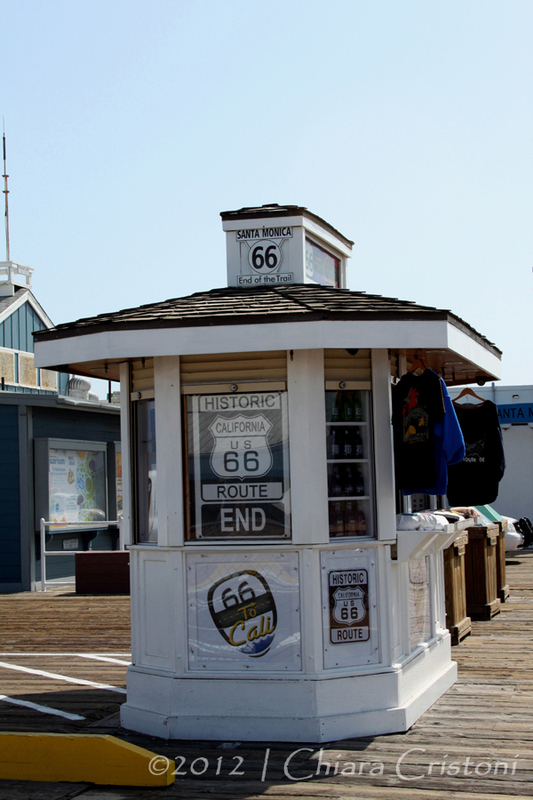 Route 66 then continues west and ends in Santa Monica, California, after covering 2,448 miles across the States. 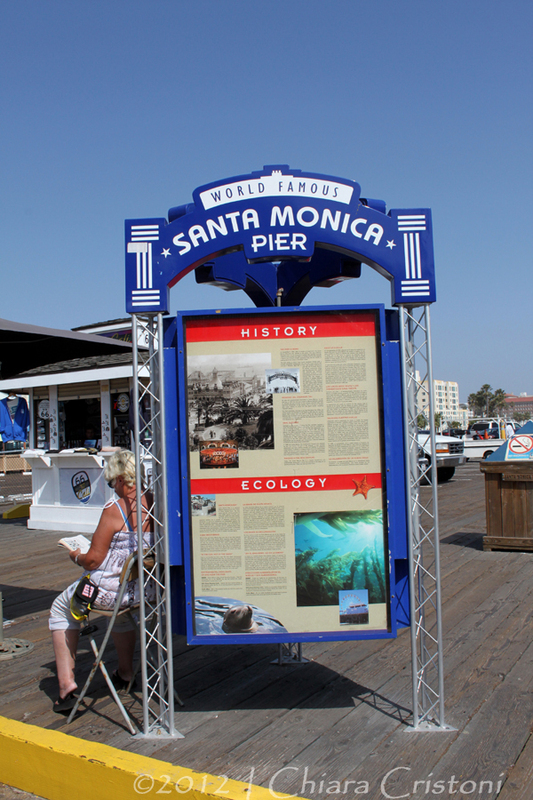 Various signs on the Santa Monica pier inform you that the long journey of the Mother Road terminates here. 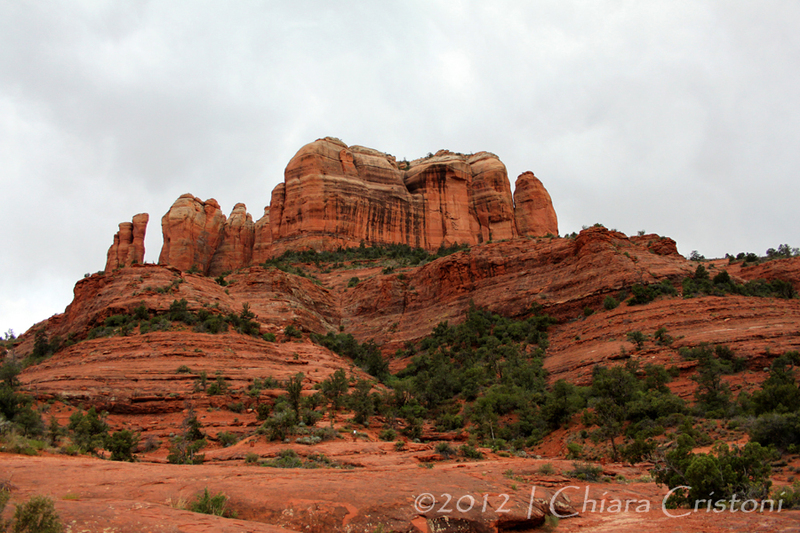 I cannot remember how Sedona made it into our road trip itinerary. I think that initially a friend mentioned it to me. 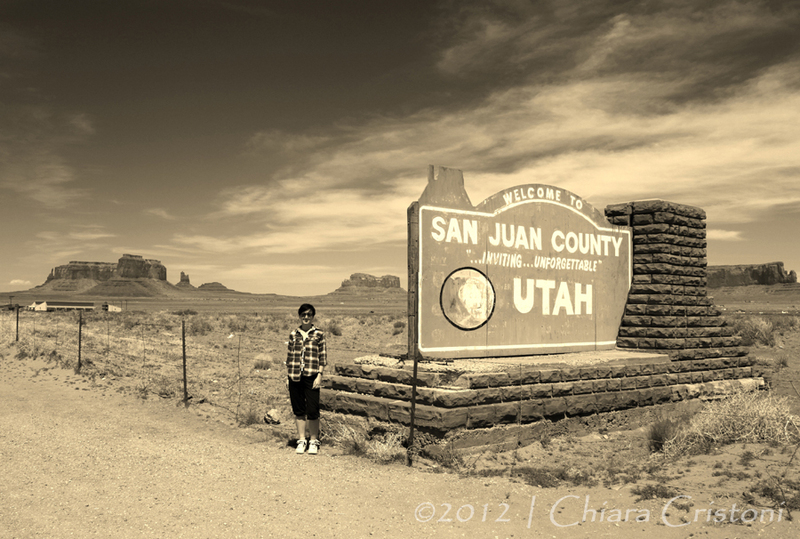 Then I realised that it was a handy stop along the drive back to Los Angeles after discovering northern Arizona. 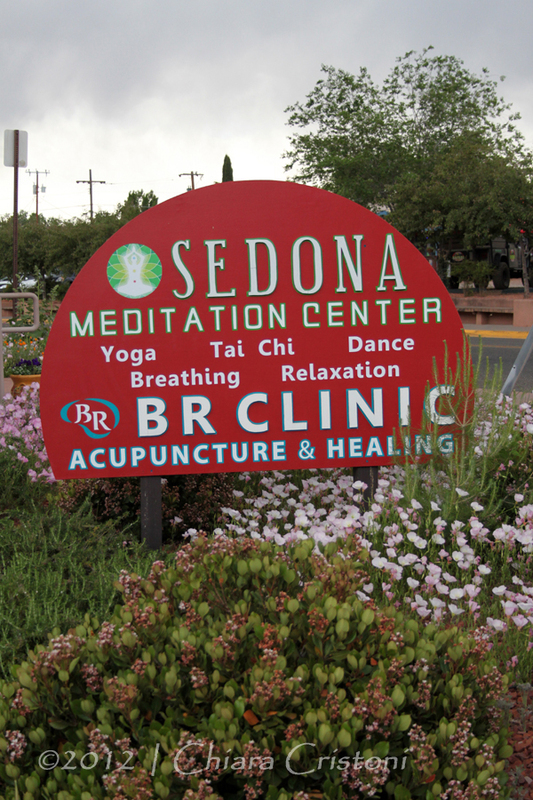 A quick check online firmed the idea that Sedona would be a good place to visit. 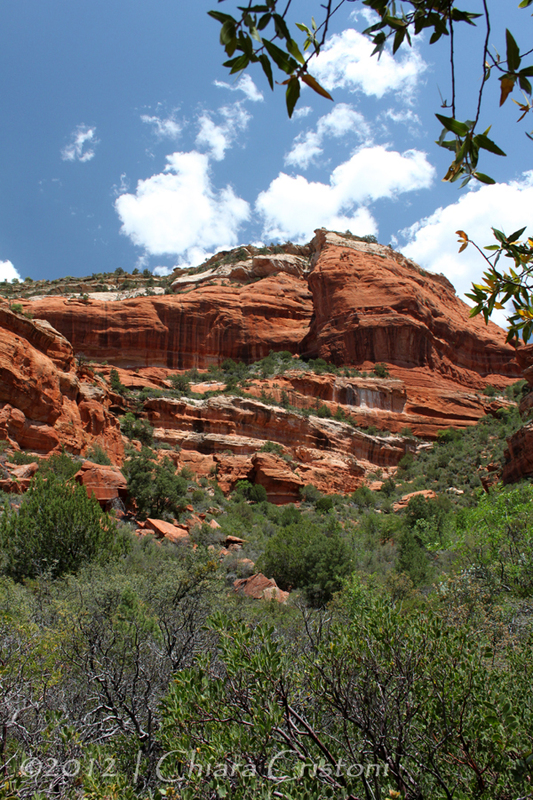 Located 120 miles north of Phoenix (Arizona), Sedona is famous mainly for its red sandstone formations and wilderness. 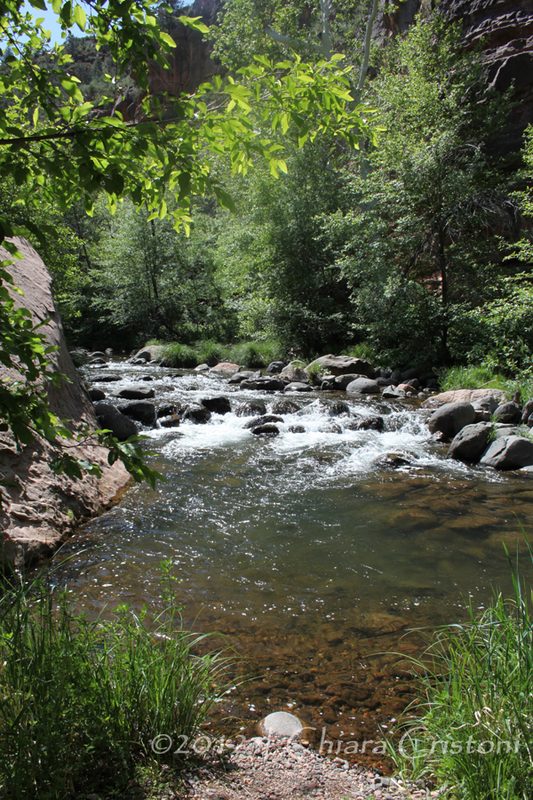 Popular destination for biking and hiking, several trails outside town will keep you busy for as long as you like. 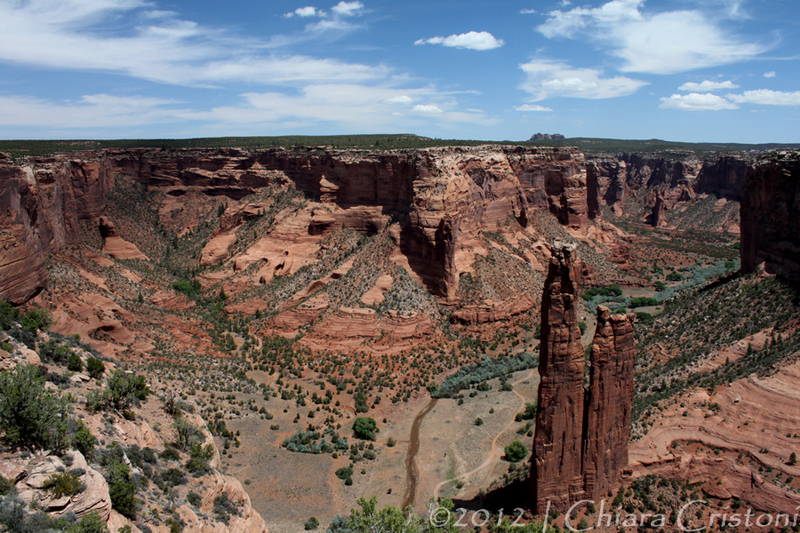 Try the Cathedral Rock Trail if you are in for a vertical challenge! 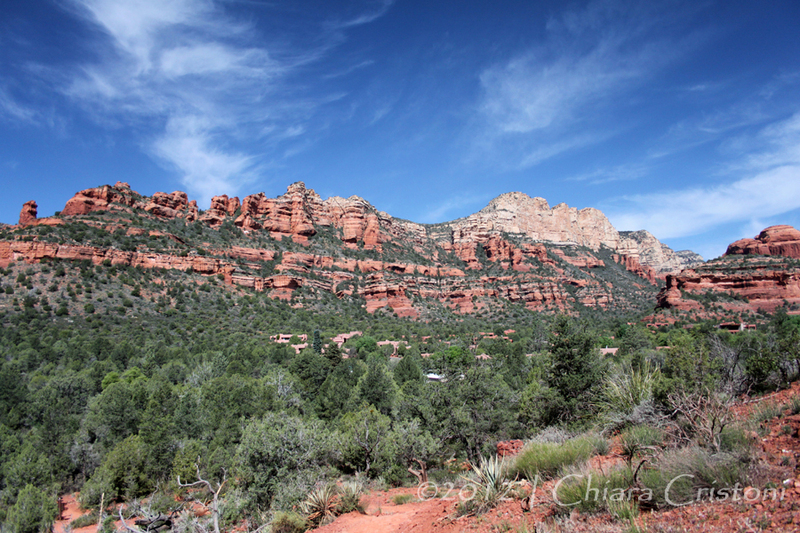 Sedona is also renowned for its spiritual significance. 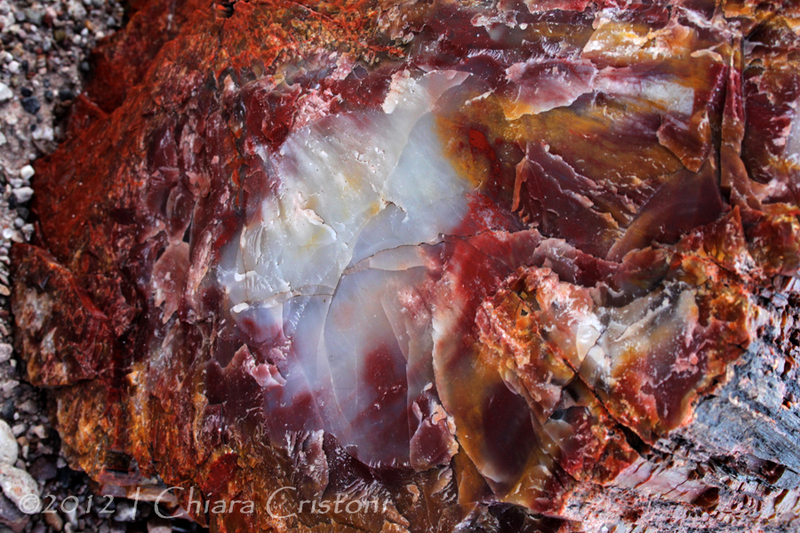 The area is thought to be at the centre of vortexes that radiate from the Earth, and as a results it attracts spiritual types and healers all year round. 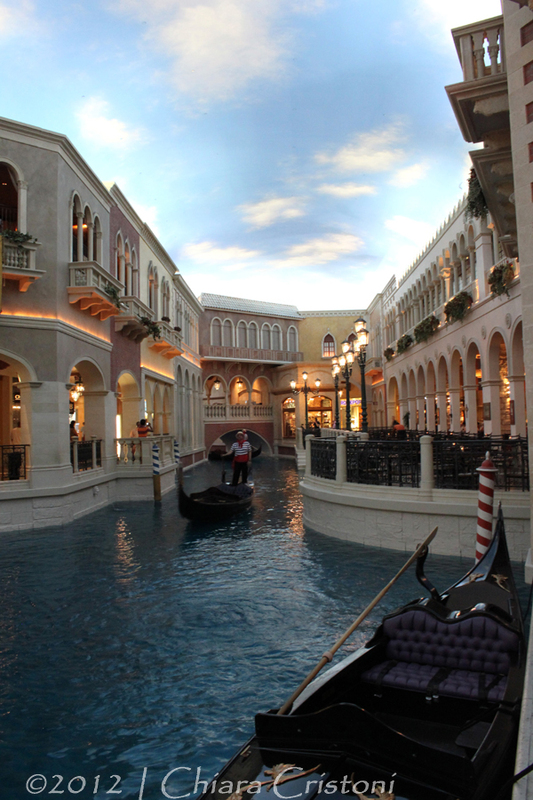 But if you just want to walk in the town centre, shops and art galleries of any sorts will keep you busy. And let’s not forget the spas! 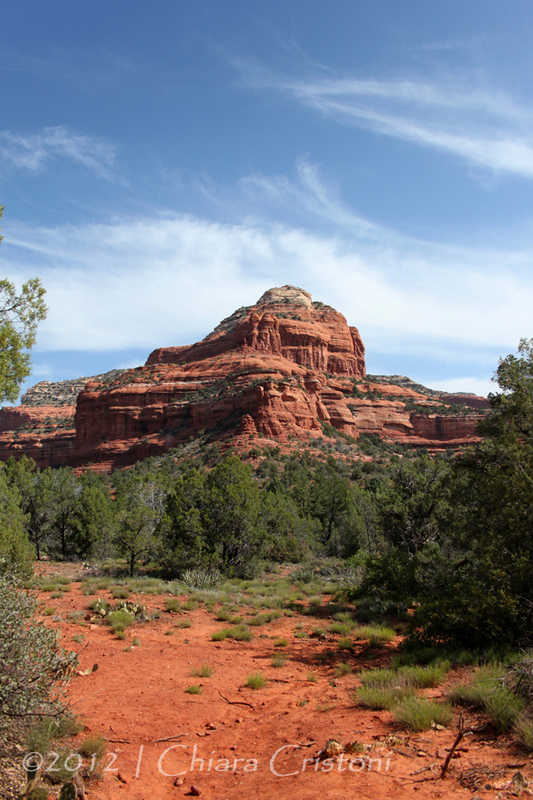 As the sun sets over Sedona, its light illuminates the mountains. 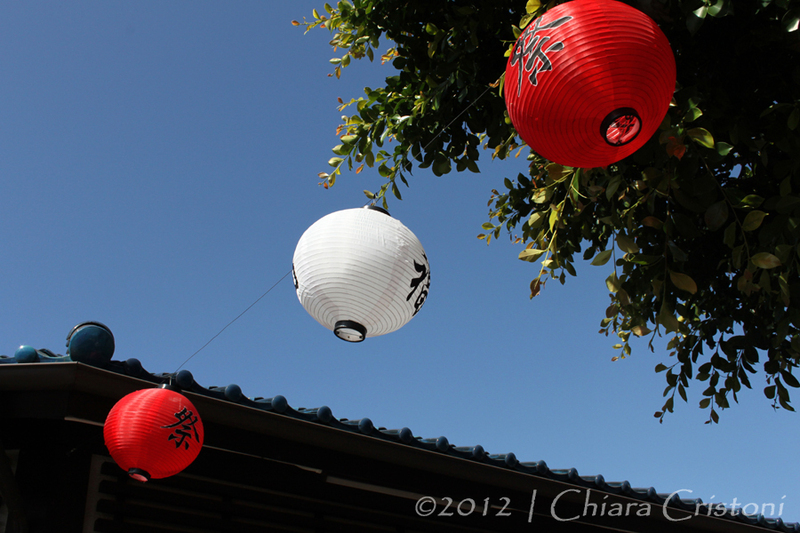 Stop and have a drink while watching the brilliant orange and red colours: it is an unforgettable experience! 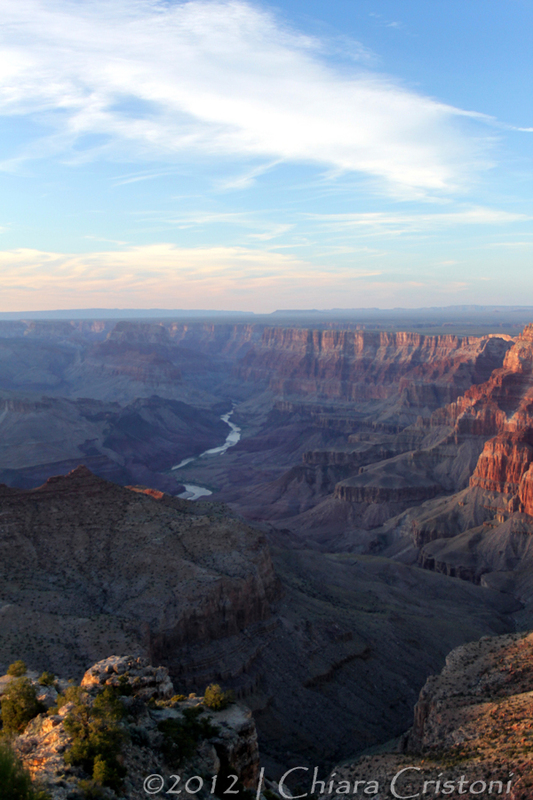 The number of National Parks/Sites/Monuments in Arizona seems endless (22, according to the US National Parks Service, click here for the full list). 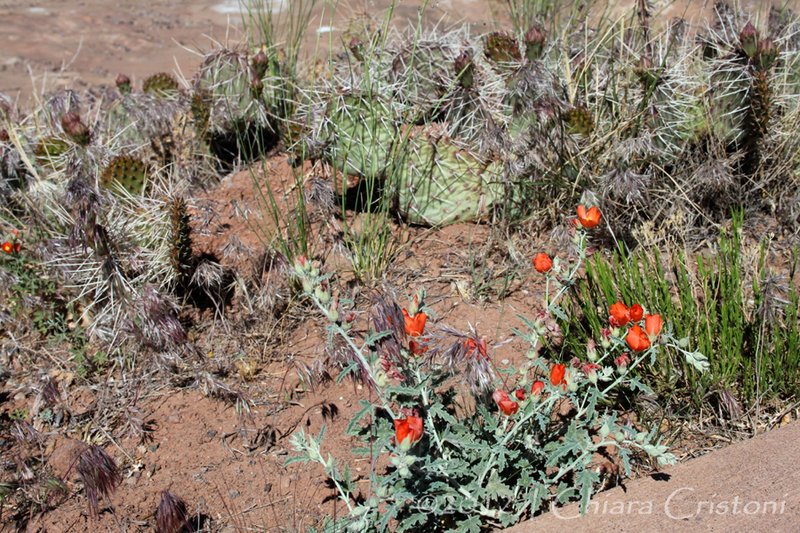 In addition to the Grand Canyon National Park, the most famous (see my post here), there are several smaller, but certainly not less beautiful, natural areas that deserve a visit. 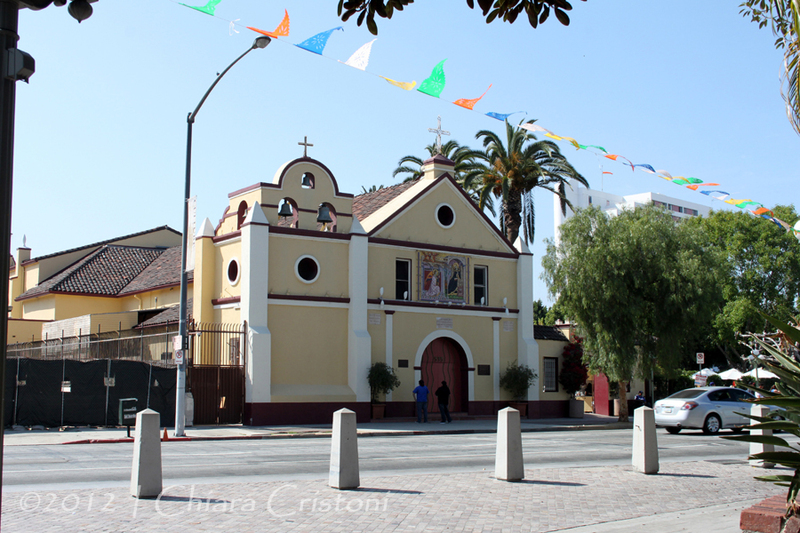 We randomly chose a few, with our decisions mainly based on our overall itinerary, the driving distances involved, and the relatively limited time we had. Already covered in this post. 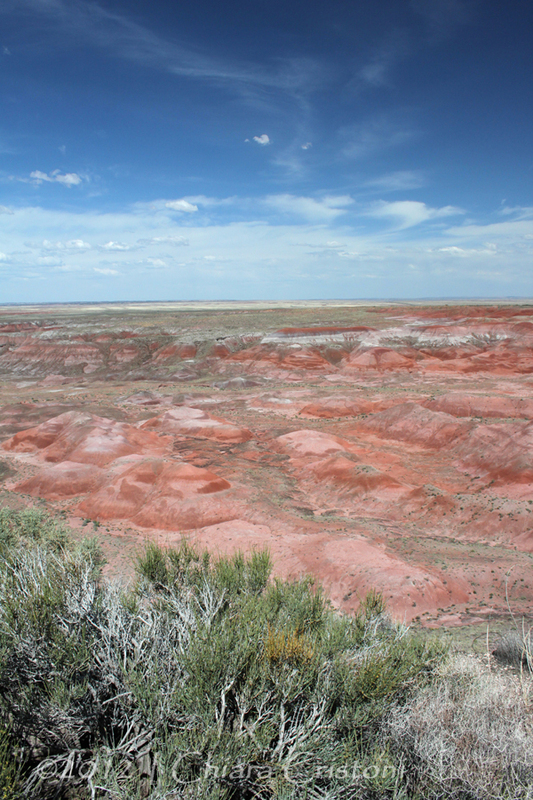 East of Holbrook, this is one of my favourite parts of Arizona because of the stunning colours in the landscape. 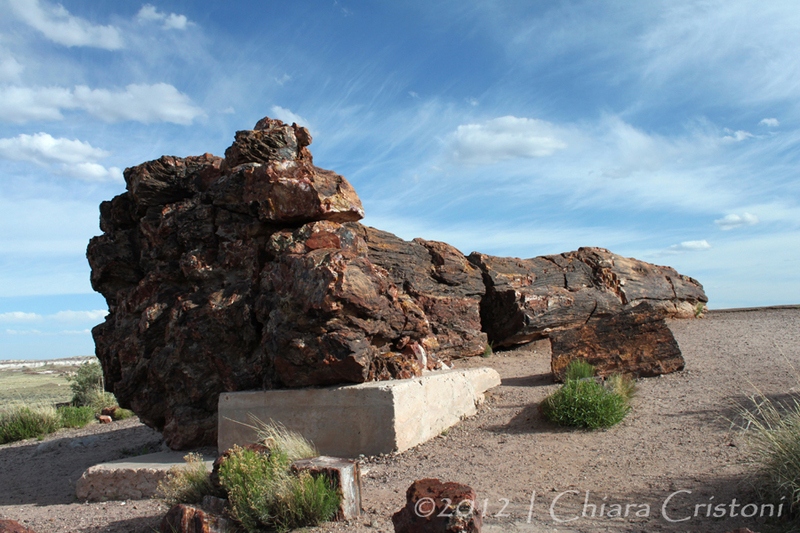 The Petrified Forest is characterised by petrified wood, fossilised logs – some really huge! – scattered over the area. 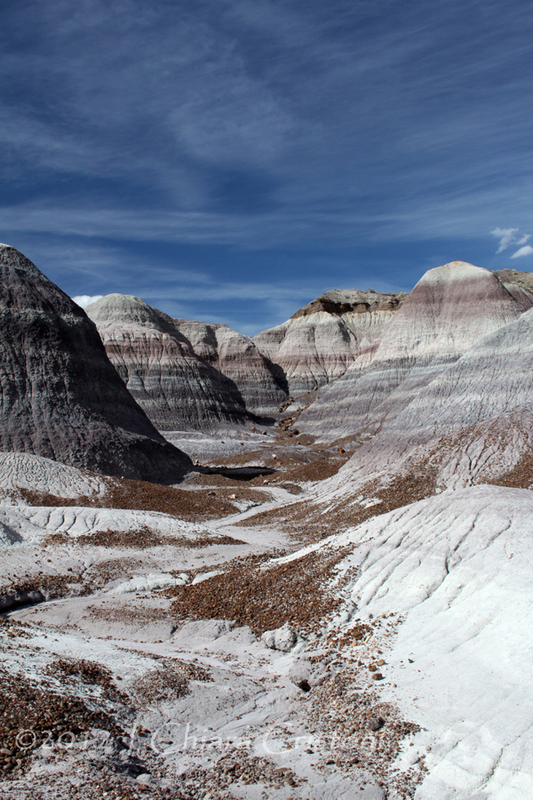 Multicoloured geological formations of conic shape (badlands made of mudstone and claystone) will take your breath away. 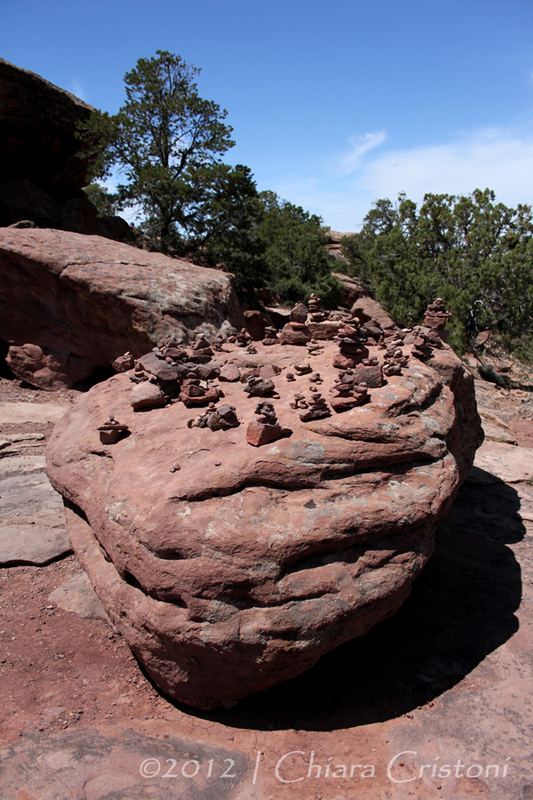 The 3-mile Blue Mesa trail lets you experience this incredible landscape at its best. 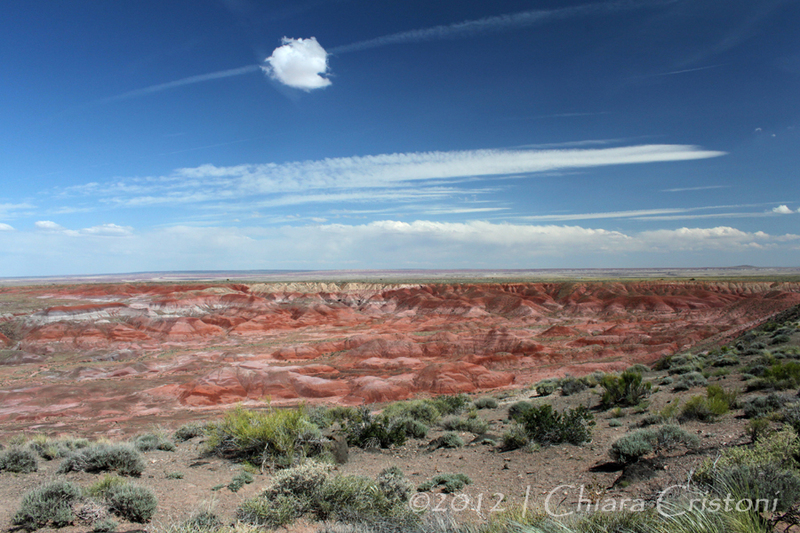 The Painted Desert could be described in three colours: blue (the sky), pink/red (the rocks), green (the vegetation). 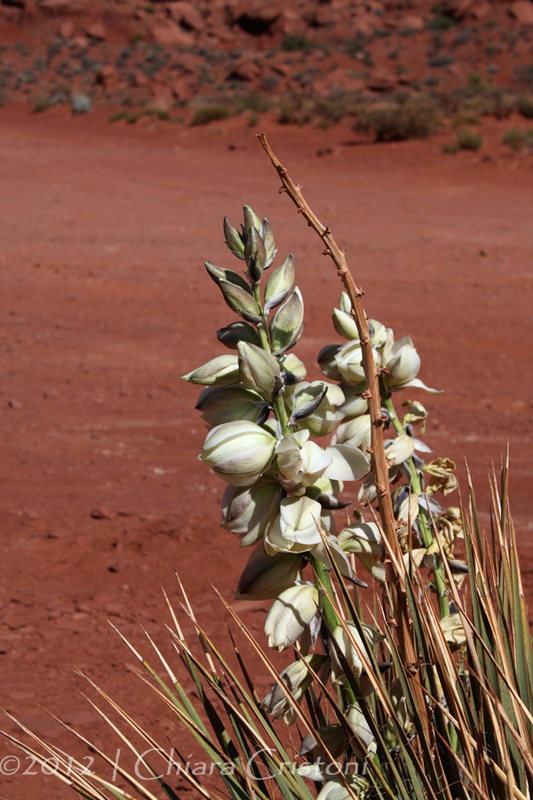 But this wouldn’t do justice to the beauty and the magic of this desert. You just can’t stop looking at it! 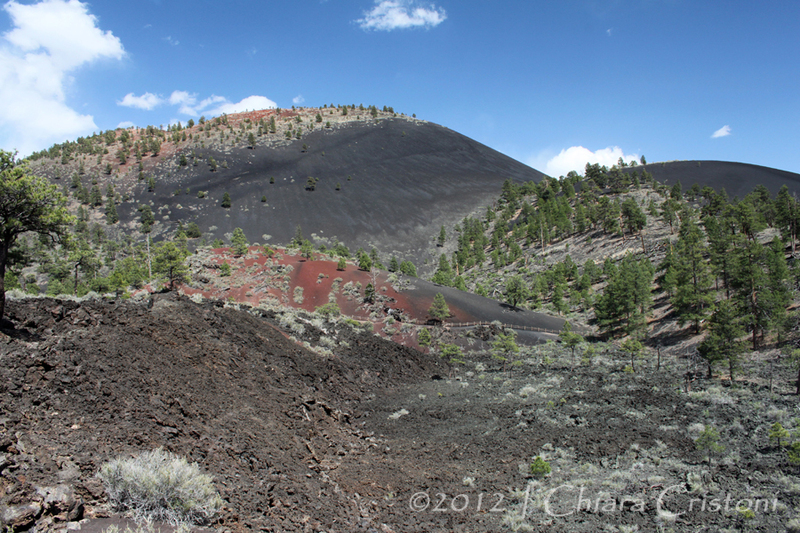 Just north of Flagstaff, this volcanic cinder cone erupted around 900 years ago. 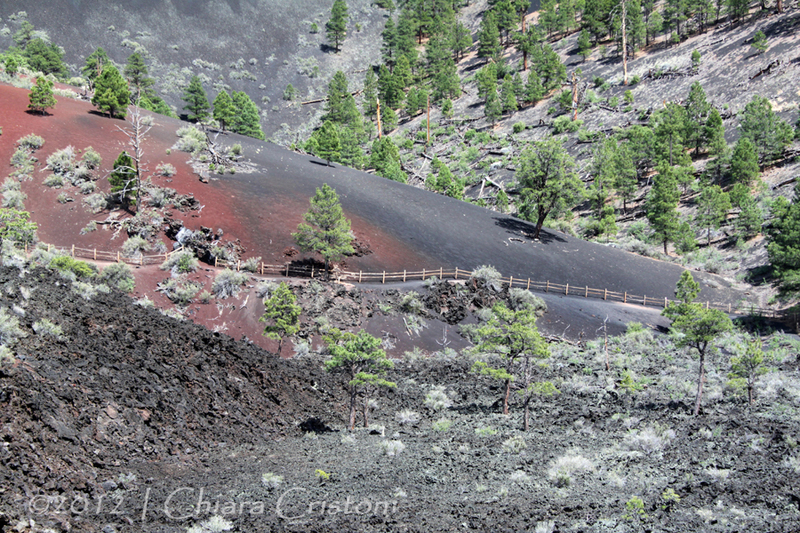 A 1-mile hike allows you to walk around the black lava area at the base of the crater. 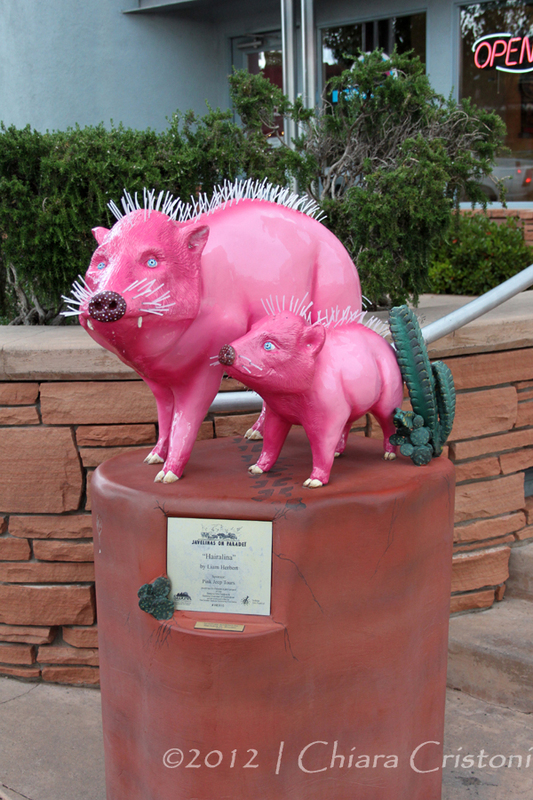 Located near Flagstaff. 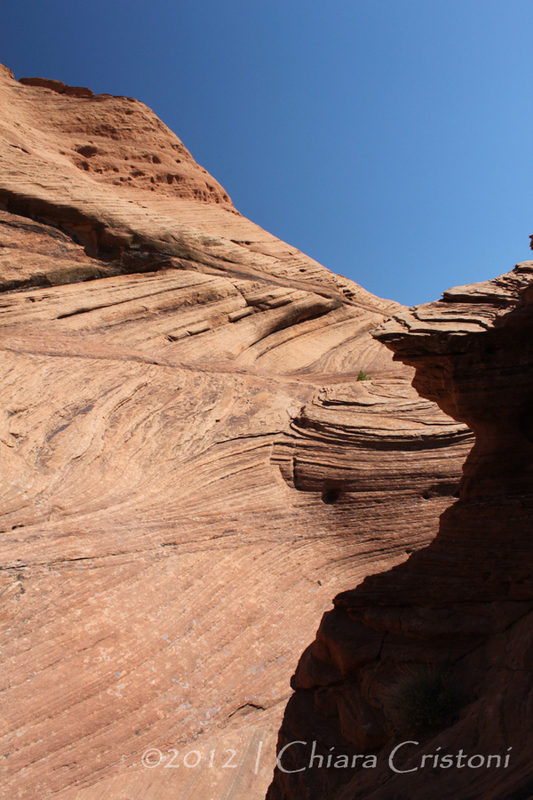 The curious shape of the rock formations here give the name to this canyon, famous for its cave dwellings. 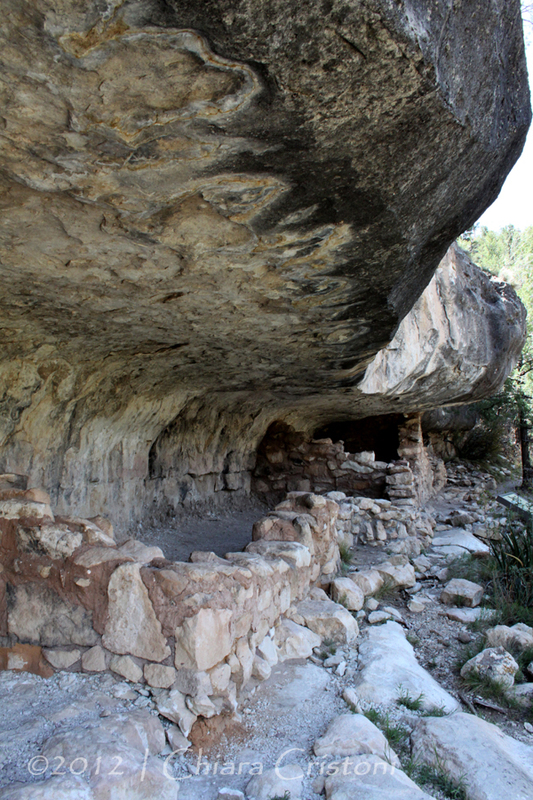 Take the steep 1-mile Island Trail to descend into the canyon and discover where the indigenuous Sinagua people (a pre-Columbian culture) used to live. 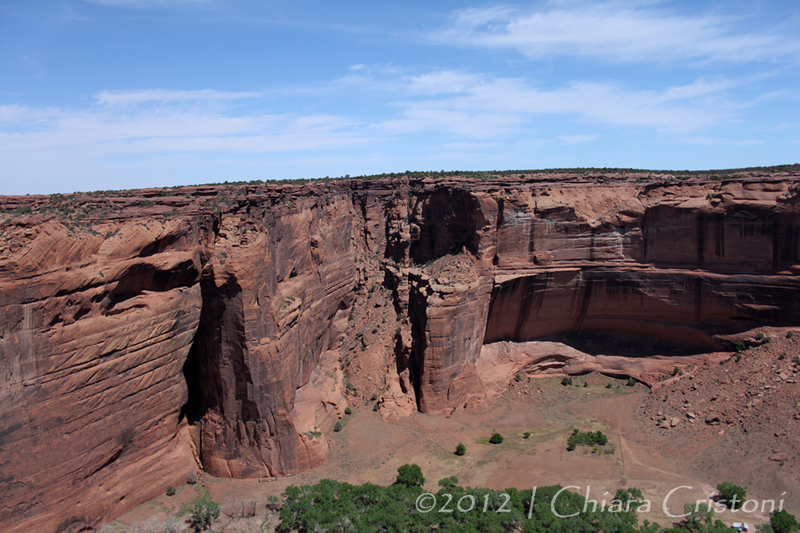 Canyon de Chelly National Monument sits within Najavo land in northeastern Arizona, near the town of Chinle. 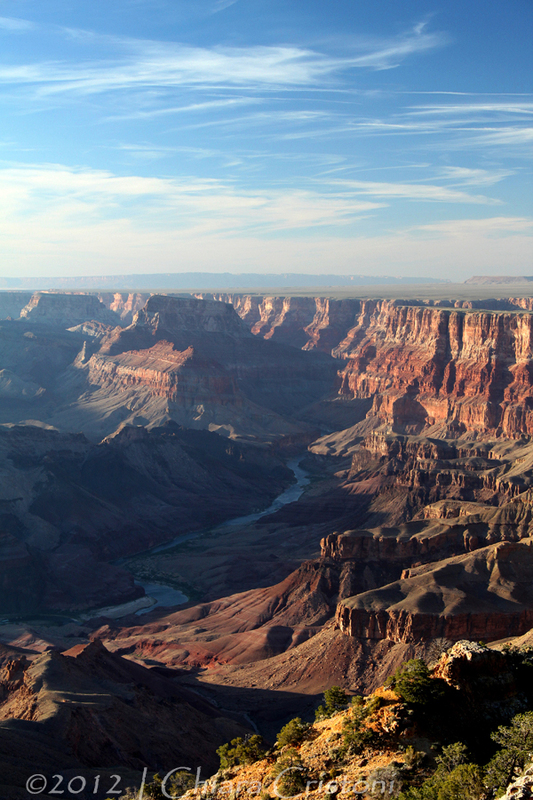 Its beautiful landscape and stunning geological features make it a not-to-miss destination in any trip to Arizona. 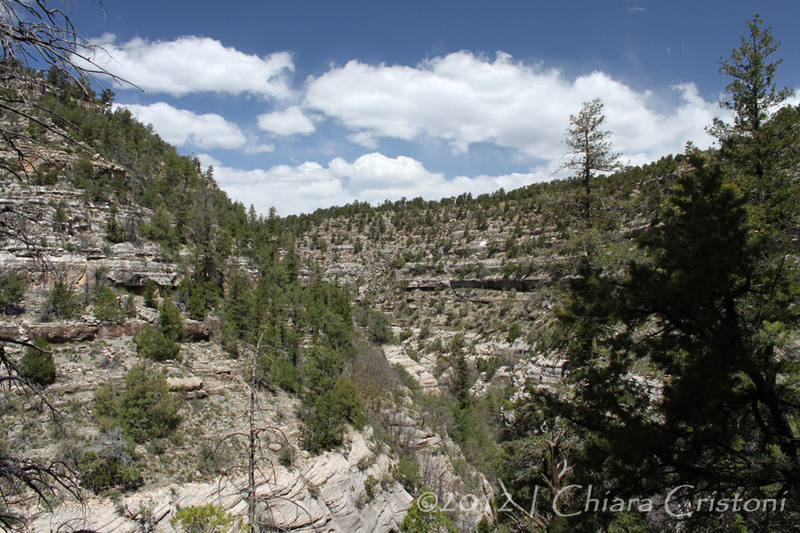 The canyon plunges about 1000ft down to the canyon floor, where you will find yourself surrounded by magnificent sandstone walls. 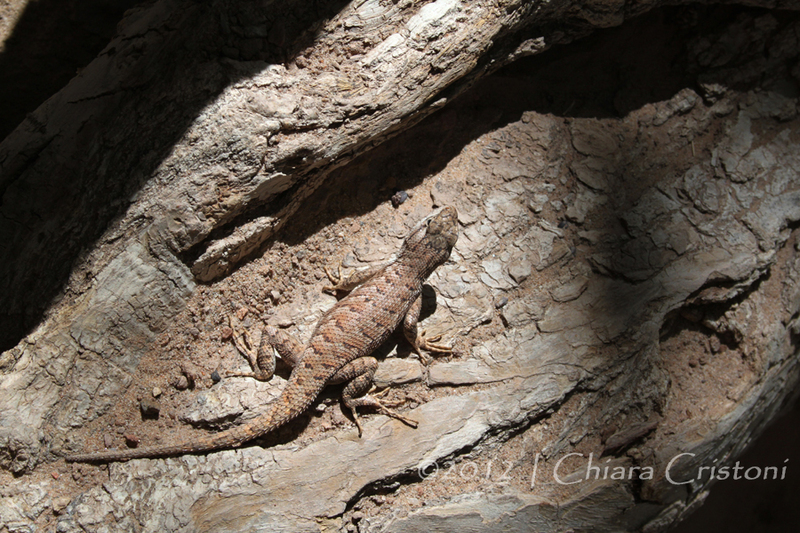 To hike in the canyon you need a guide. 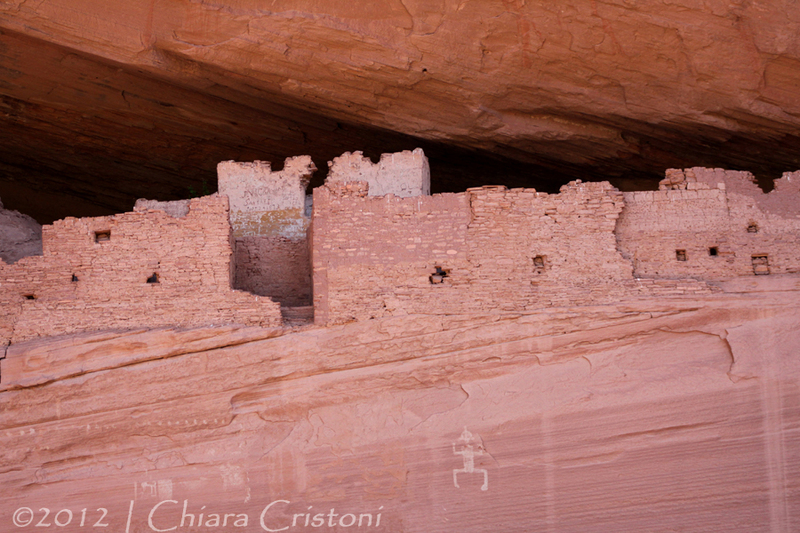 The only exception is the White House Ruin Trail, which will take you to the remnants of ancient pueblan houses built in the rocks. 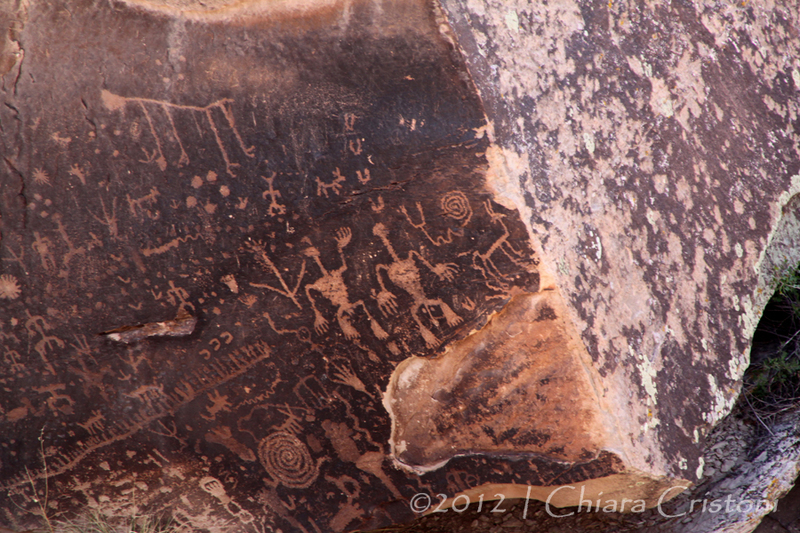 Some preistoric rock art can also be seen there. 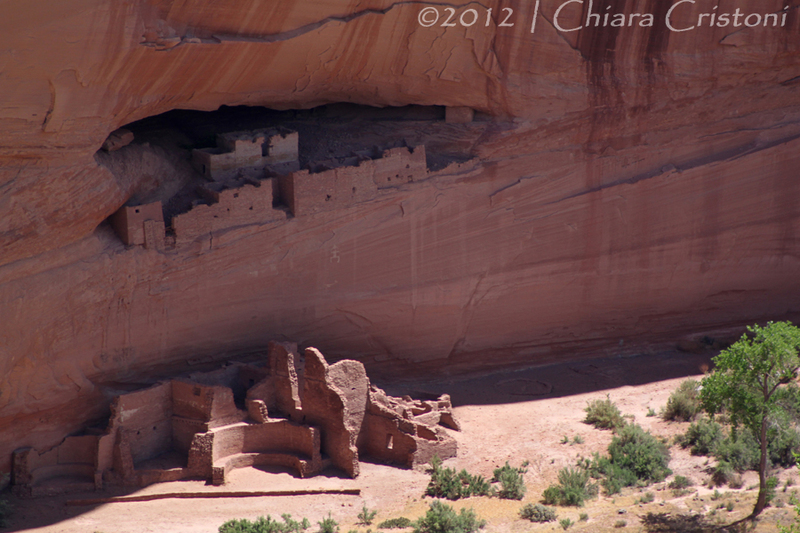 Definitely worth the 2.5-mile round steep hike down (and then up) the path! 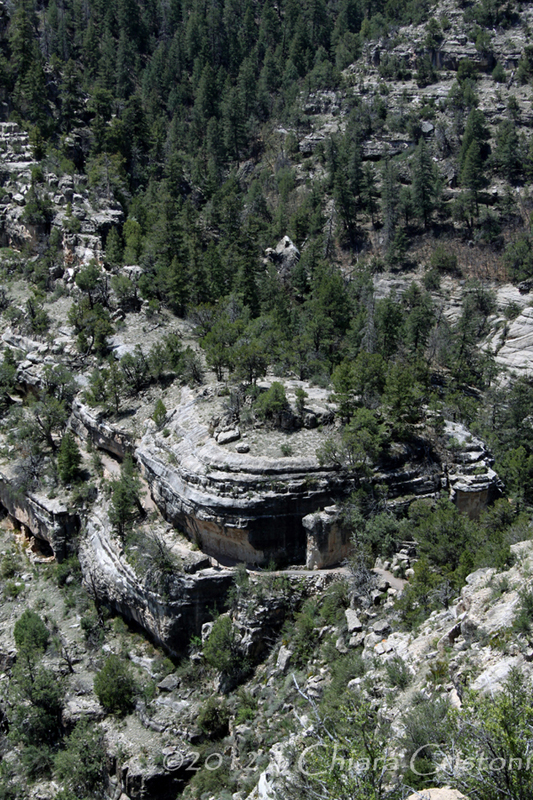 Then follow the South Rim Drive, a 16-mile road that runs along the main canyon and ends at the Spider Rock Overlook. 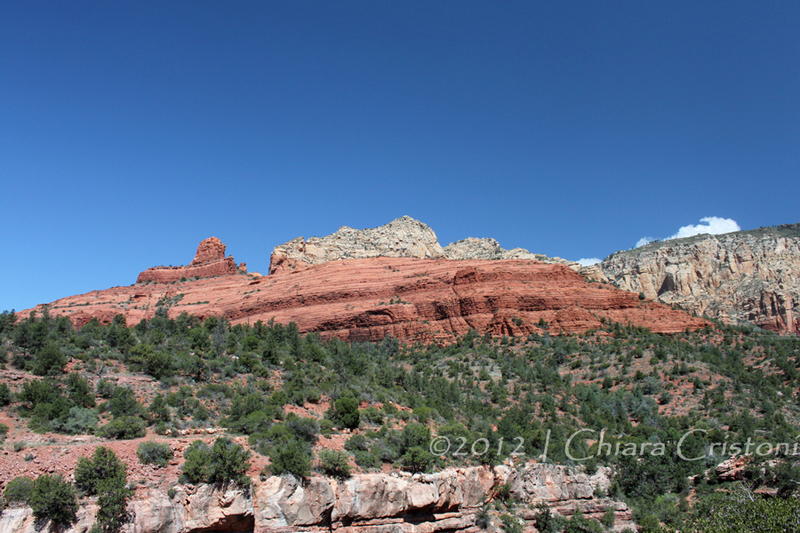 The scenery is absolutely spectacular! 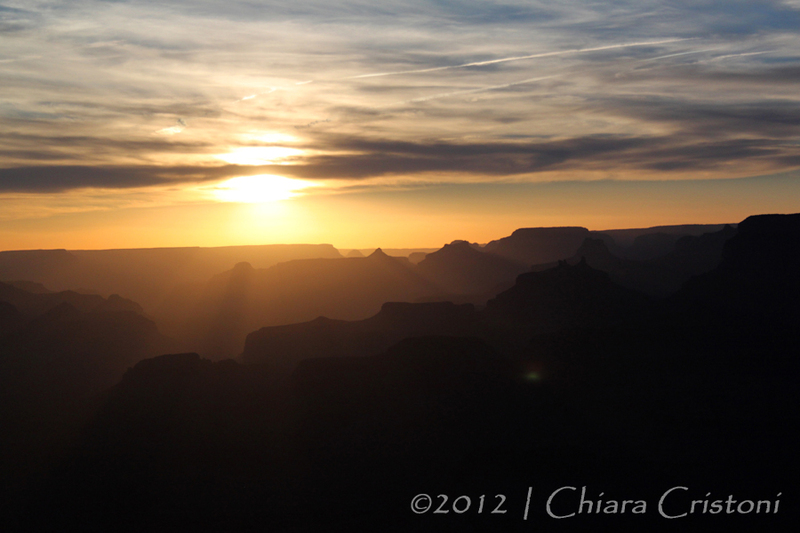 We had left the Grand Canyon behind. 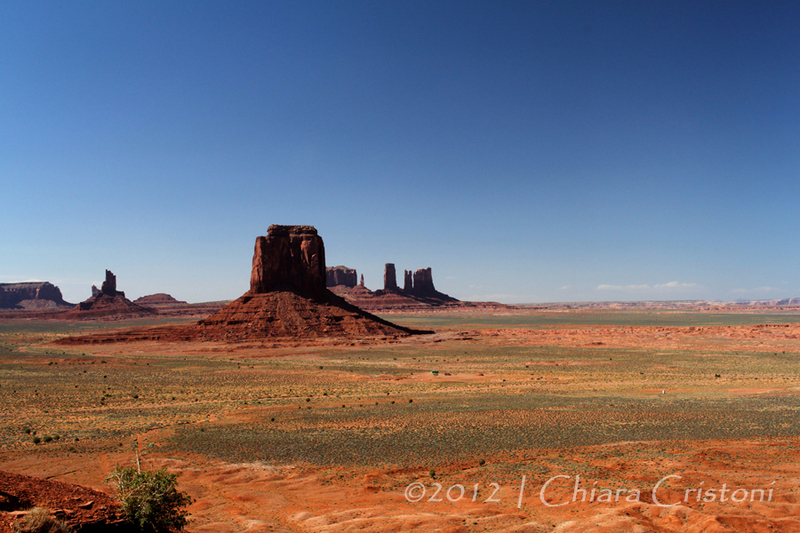 And when I thought that nothing could leave me breathless anymore, we reached Monument Valley. 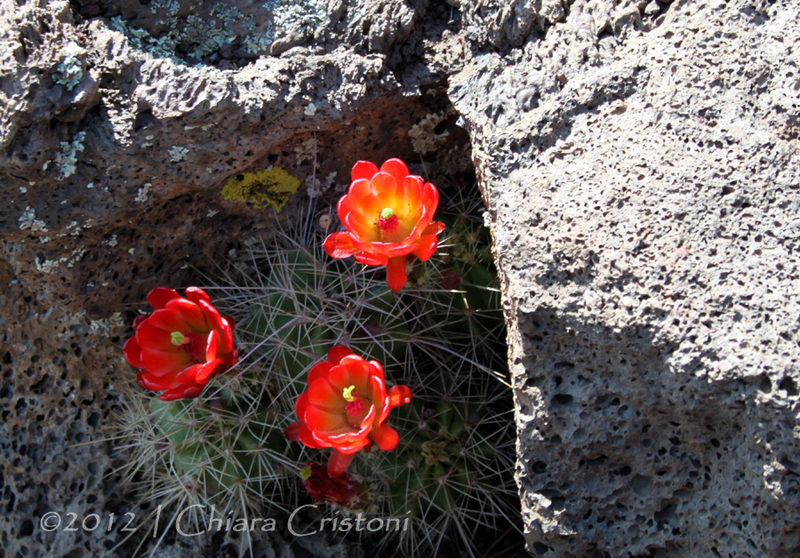 Which, too, took my breath away! 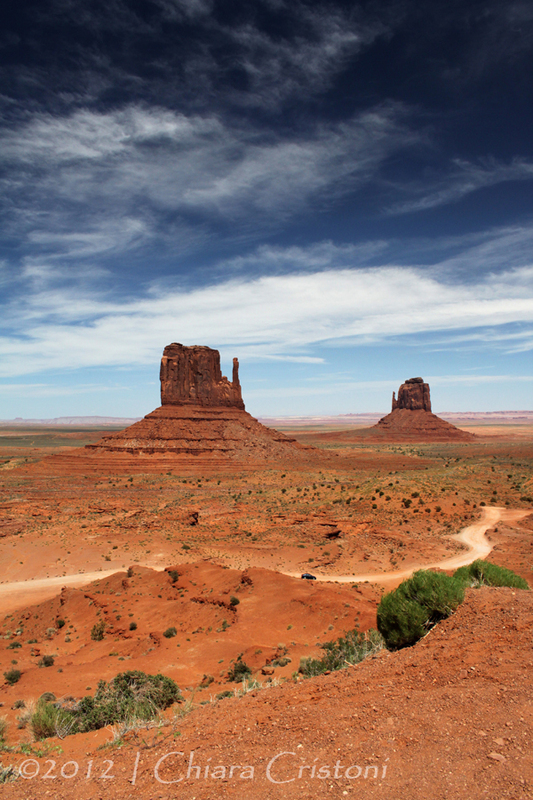 This iconic landscape is one of the most photographed on earth and has featured in countless movies. 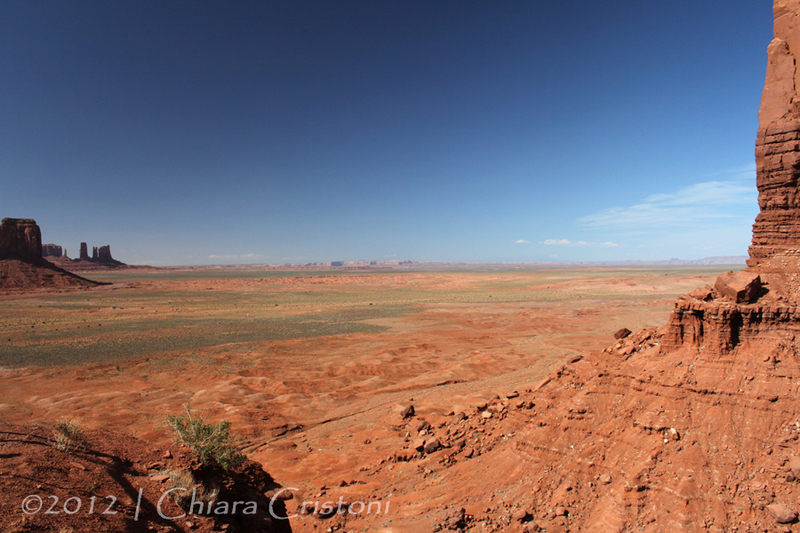 We have all seen it thousands of times, yet standing there and looking at the red buttes scattered across the area gives you overwhelming feelings that are hard to put into words. 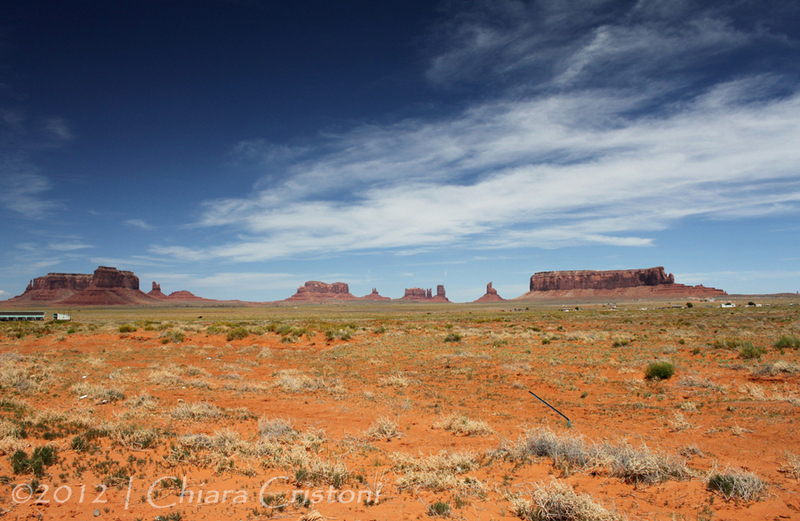 Plus I have a fascination for wide empty spaces, and Monument Valley is “the” place for me. Just breathe it all in! 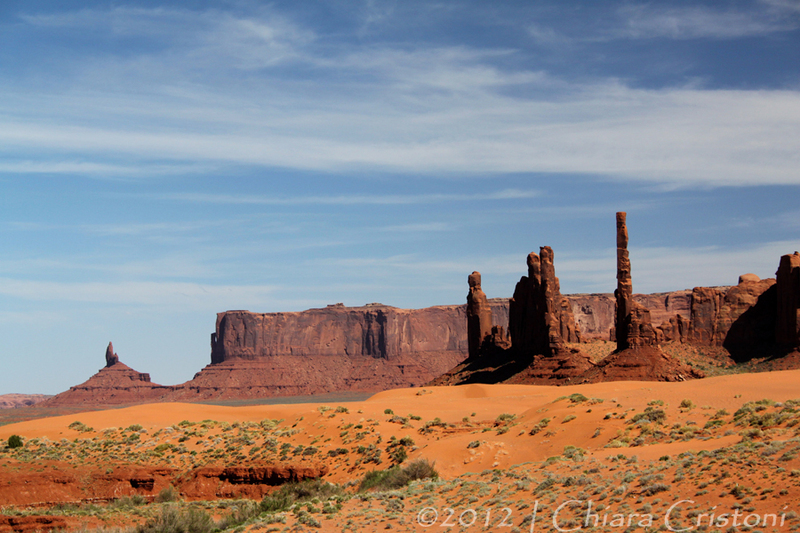 The moment of a lifetime: I am at Monument Valley!!!! 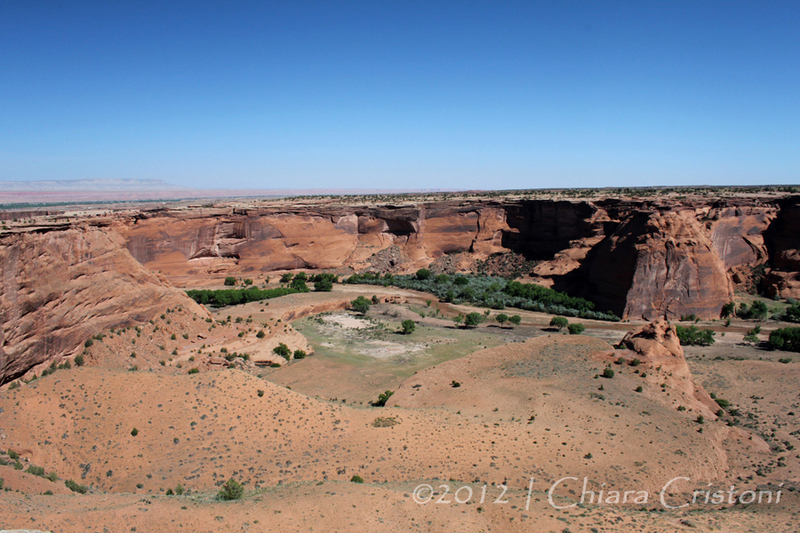 This area belongs to the Monument Valley Navajo Tribal Park, which is equivalent to a national park. 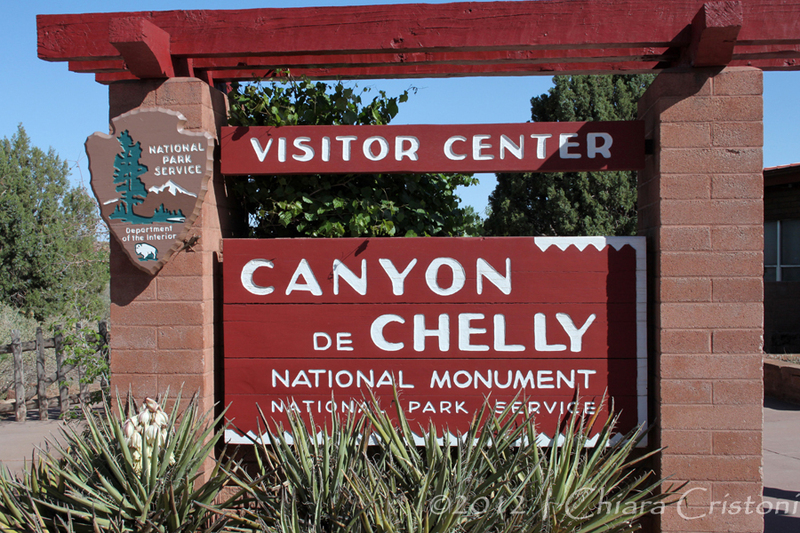 A 17-mile scenic drive (Loop Drive) takes you around the majestic sandstone formations, most of which have been given names like the Elephant Butte, Three Sisters, Camel Butte, Totem Pole, and so on. 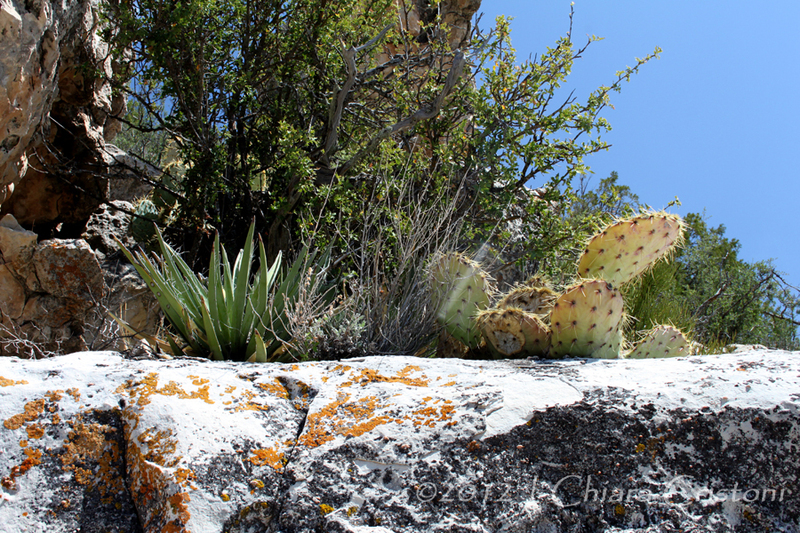 Photo opportunities are endless and I wish we could have stayed much longer in the area and explore further. 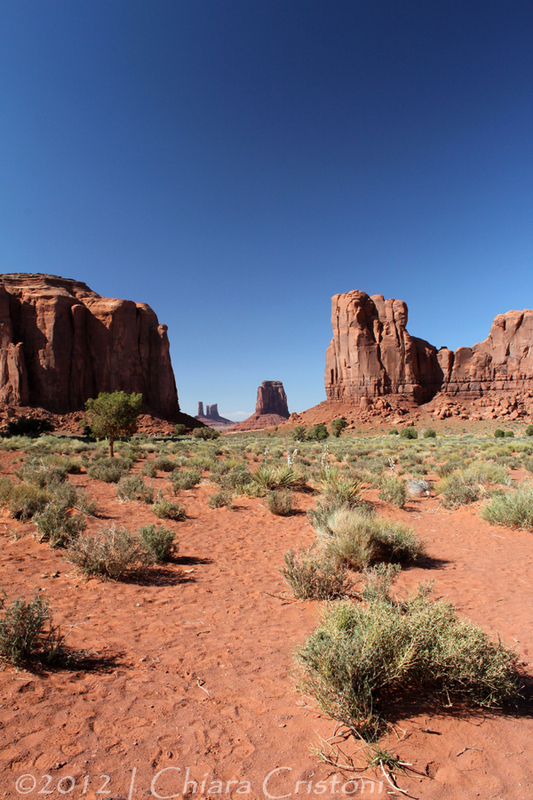 A handful of hours in Monument Valley just leave you longing for more! 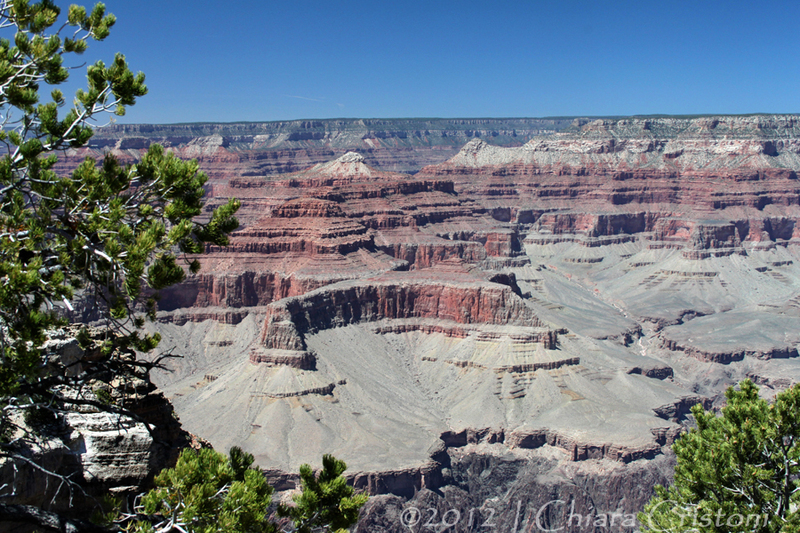 Having seen hundreds of photos of the Grand Canyon I should have been prepared. 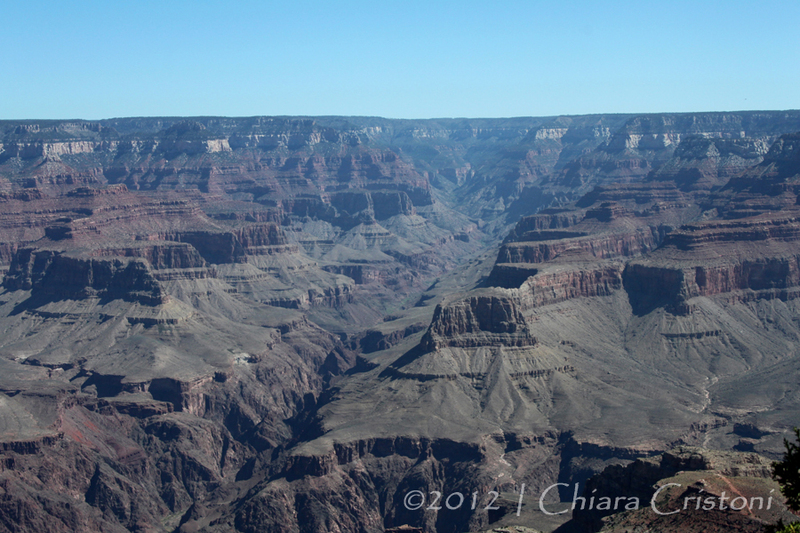 Not that I didn’t have an idea of what it looked like or how big it was (277 river miles long, up to 18 miles wide, and a mile deep). I simply wasn’t expecting that it would be such an overwhelming experience! 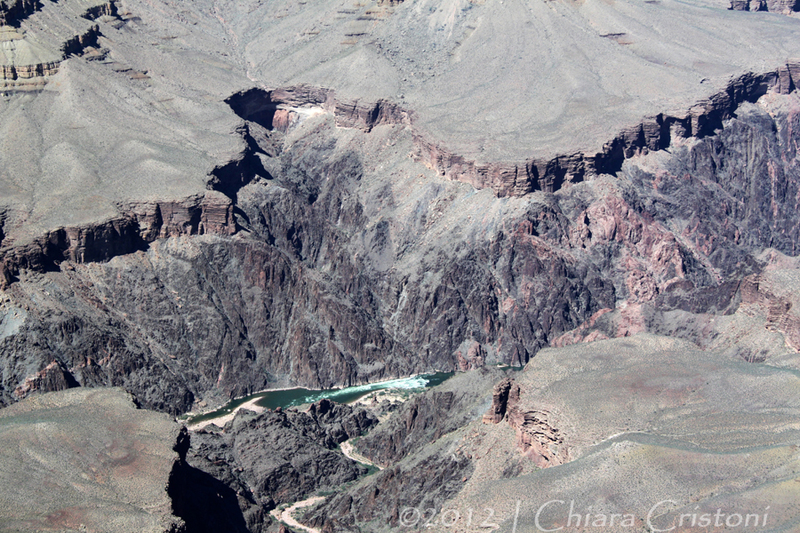 The Grand Canyon hides. 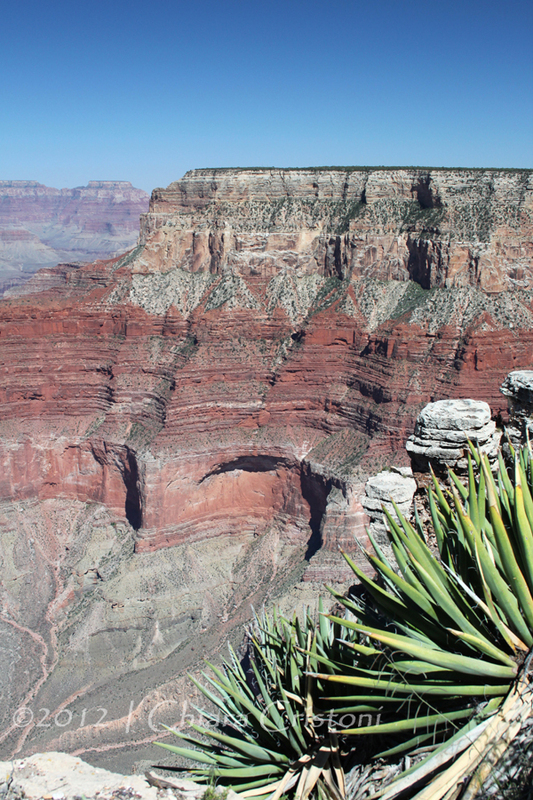 When you enter the National Park area and start driving towards the rim, there are no hints. All you see is forest around you. 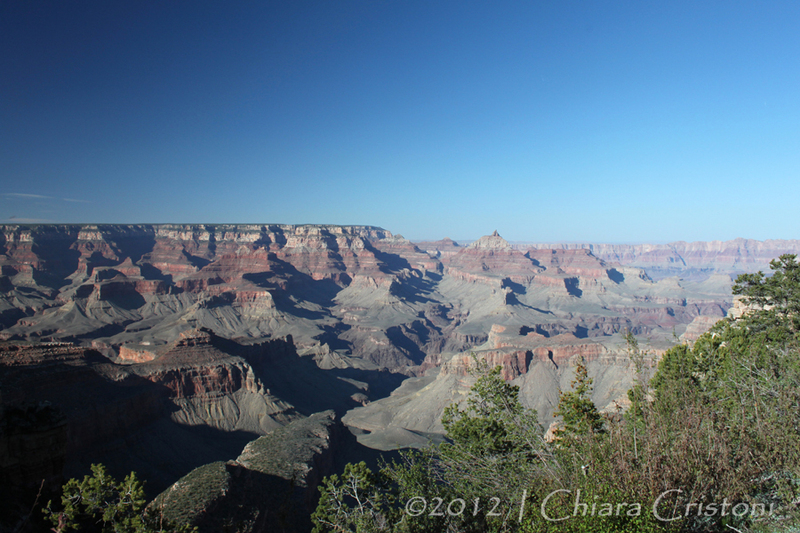 Until you reach the canyon rim. And you see it. Right in front of you. Impossible to take it all in. No words can describe the feelings. 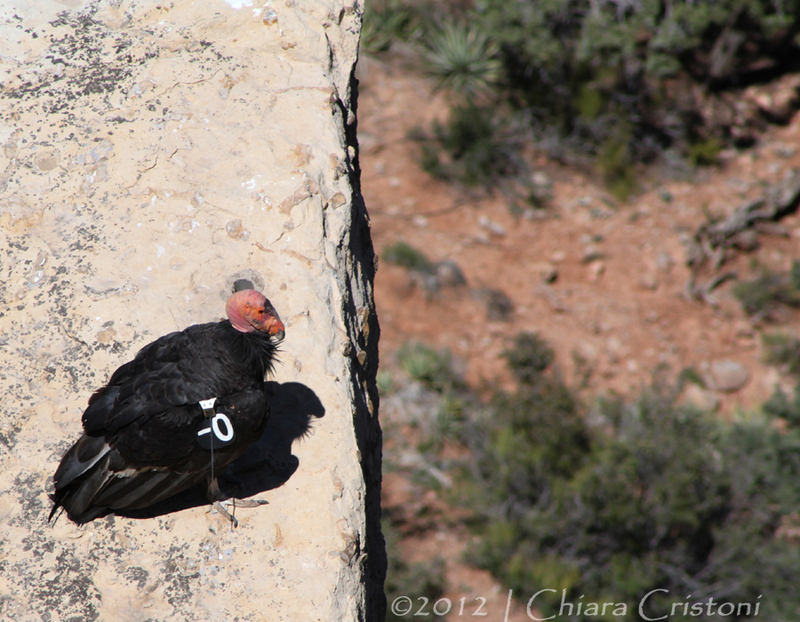 So you spend the whole day driving or walking around the rim (we did the South Rim only), discover the different features of the canyon and its amazing geology, observe the effect of the changing light on the red rocks, and if you are lucky you even spot the endangered California Condor! And wait for sunset. 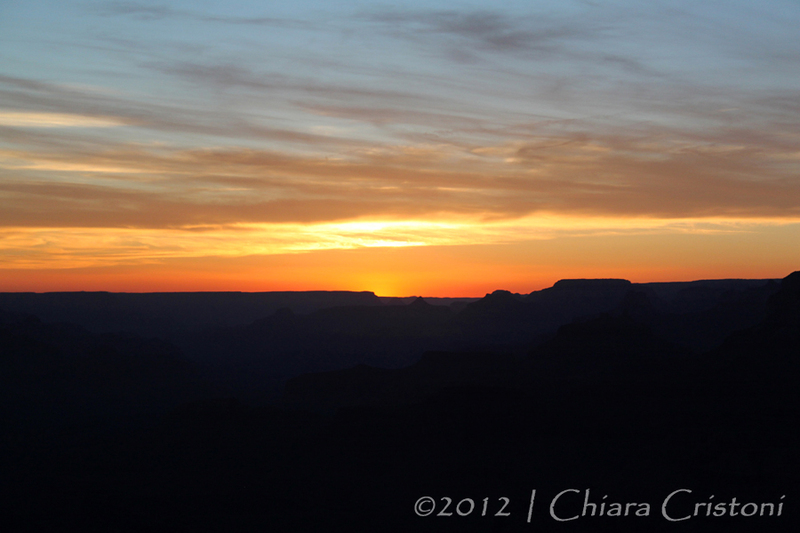 Sunsets at the Grand Canyon are spectacular. Images describe them better than words. 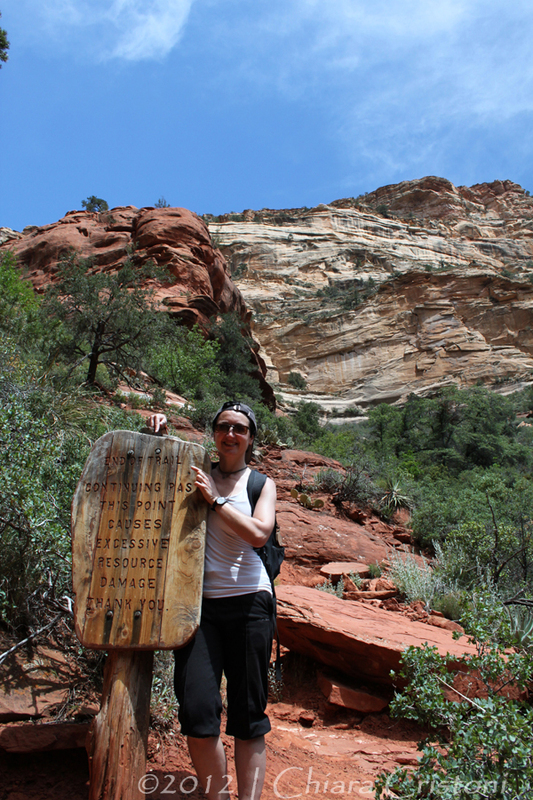 We didn’t trek to the bottom of the canyon. 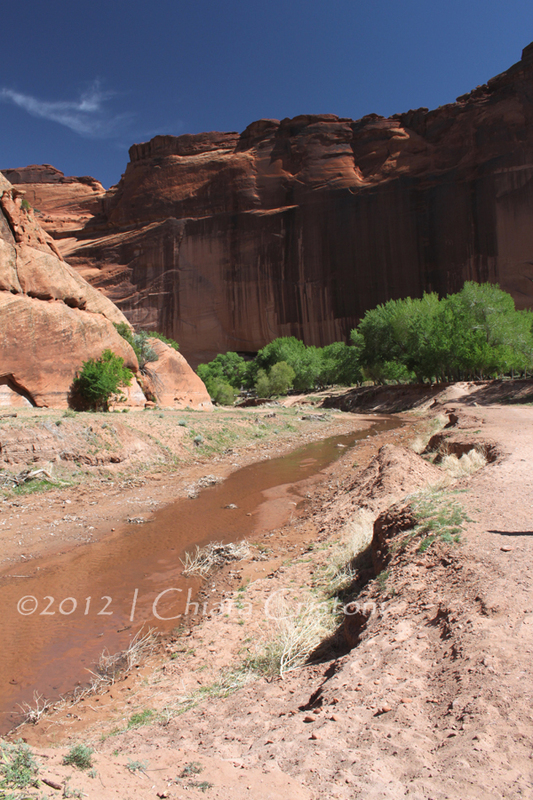 And we didn’t try any white water rafting either. 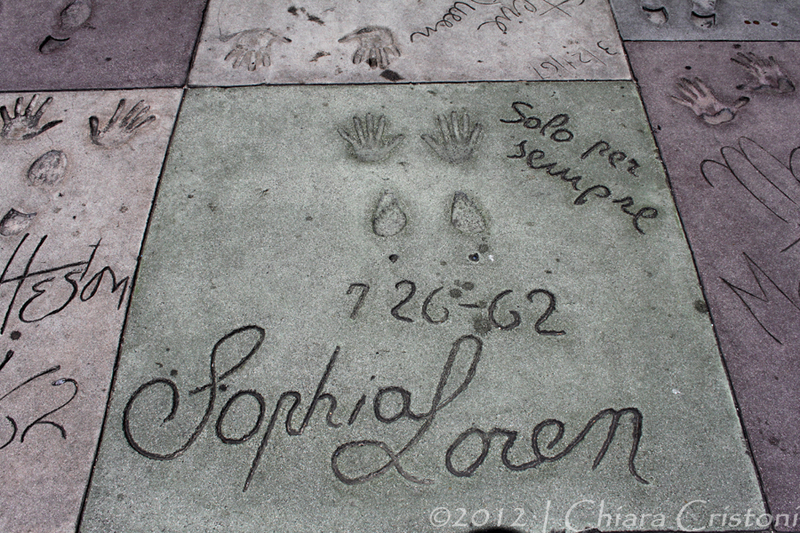 So here’s at least two good reasons to make another trip in the future! 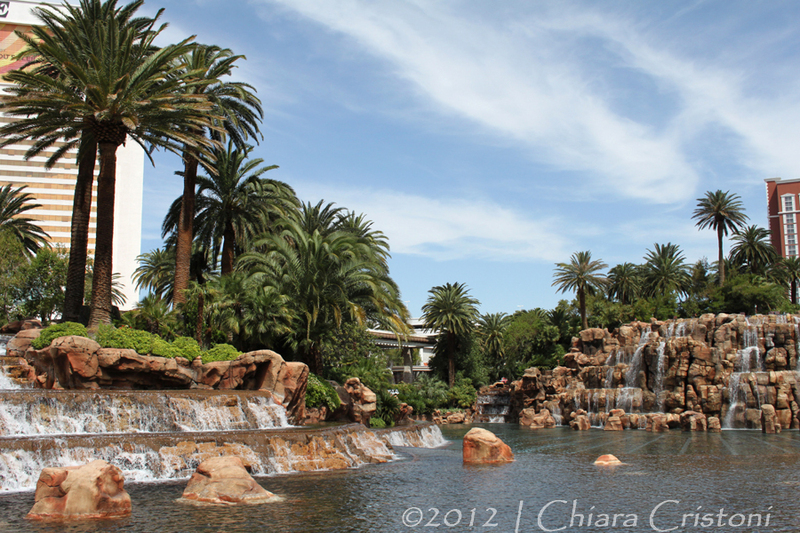 Las Vegas suddenly emerges from the emptiness of the Mojave Desert like a mirage of an oasis. 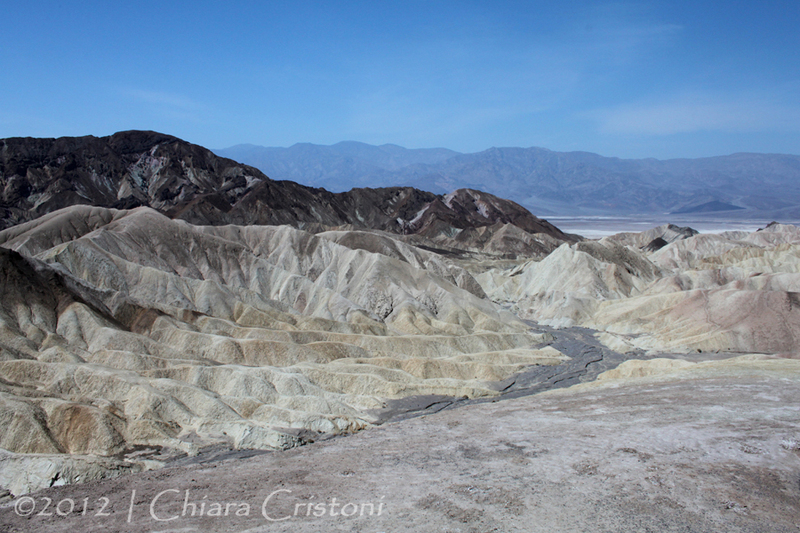 One minute all you see is rocky and barren landscape, the next the silhouette of Sin City – with its multitude of high-rise buildings – appears in the distance. It feels slightly surreal. My first thoughts were: this city is built in the middle of the desert, where does the water required for the tourist infrastructure, the fountains, the parks, come from? And: what a waste! 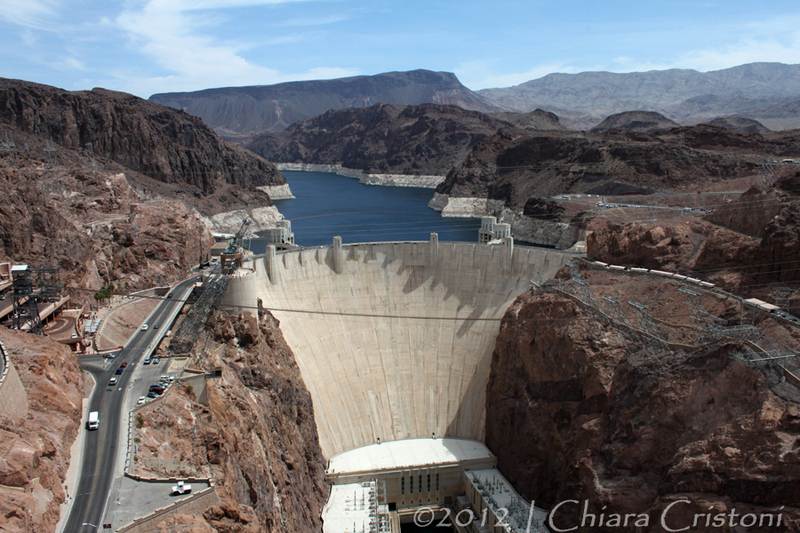 I then found the answer: 90% of the water is supplied by Lake Mead, created by the Hoover Dam, about 30 miles southeast of Las Vegas. 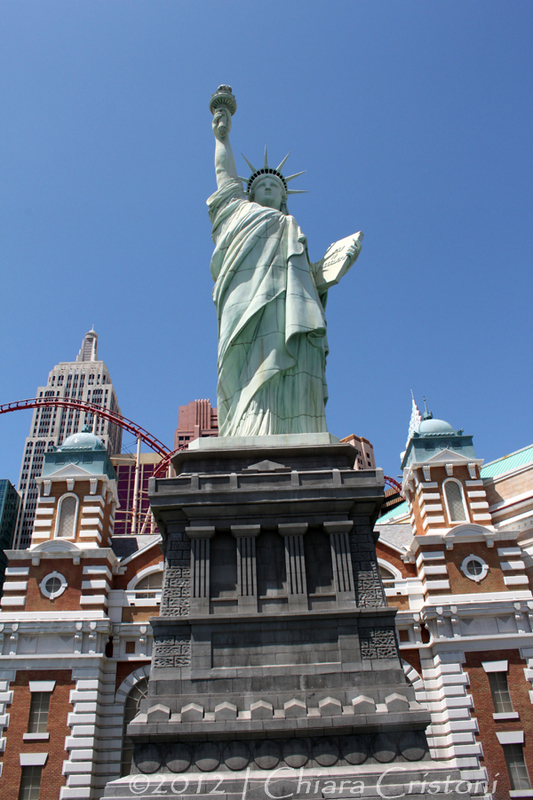 And also, surprisingly, Las Vegas is considered ahead of the curve in cultivating an ethic of water conservation. 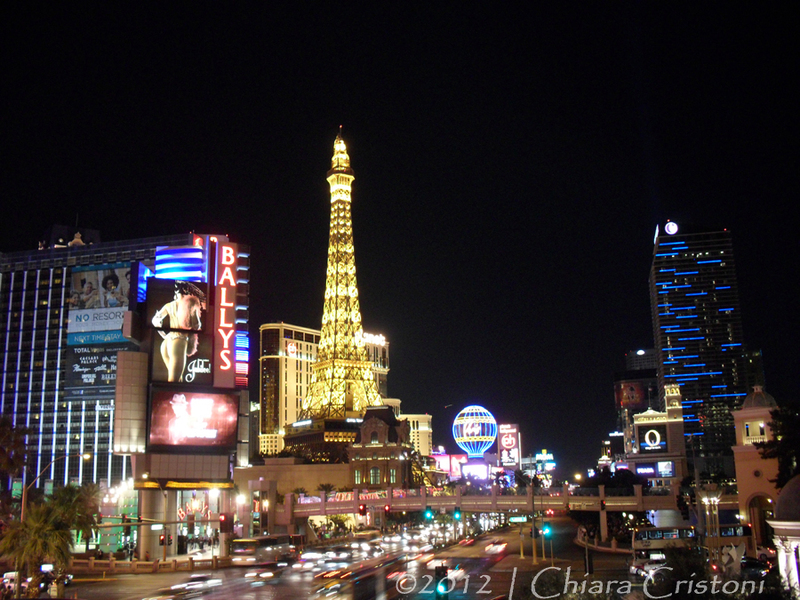 I must admit that I was quite negative about Las Vegas before visiting, then I fell for it. 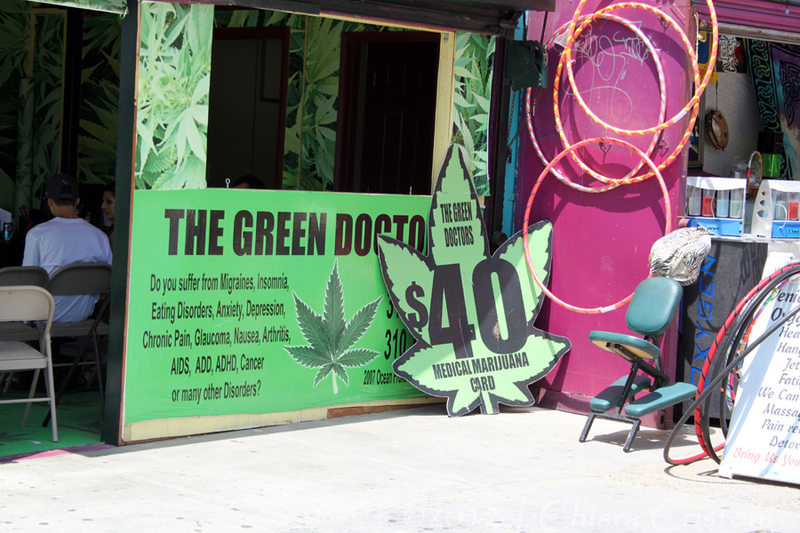 And yes, “it’s all fake” here but that’s also what appeals about this city. Everything is excessive, hyperbolic, grand! 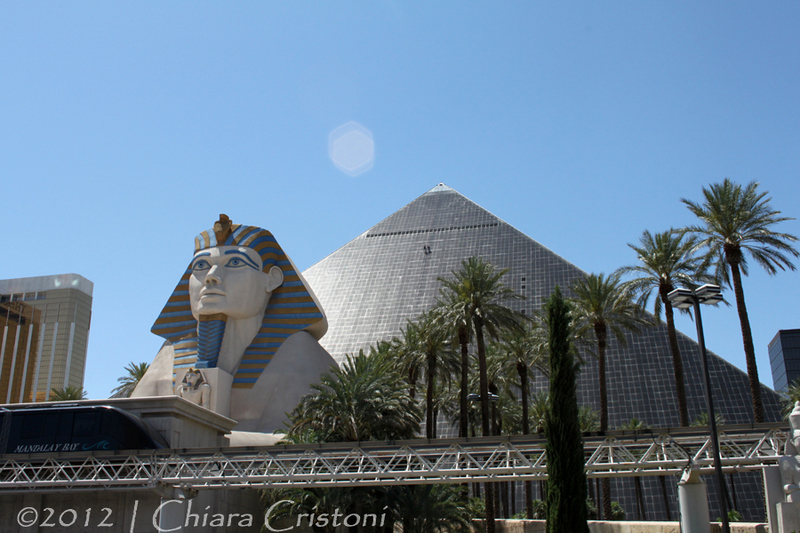 Walk down the Las Vegas Strip and you will be surrounded by huge Egyptian pyramids, Roman Empire monuments, Venetian historic buildings and canals, Medioeval castles, Arab night dreams, Tour Eiffel, Statue of Liberty, lush gardens, majestic fountains, you name it. 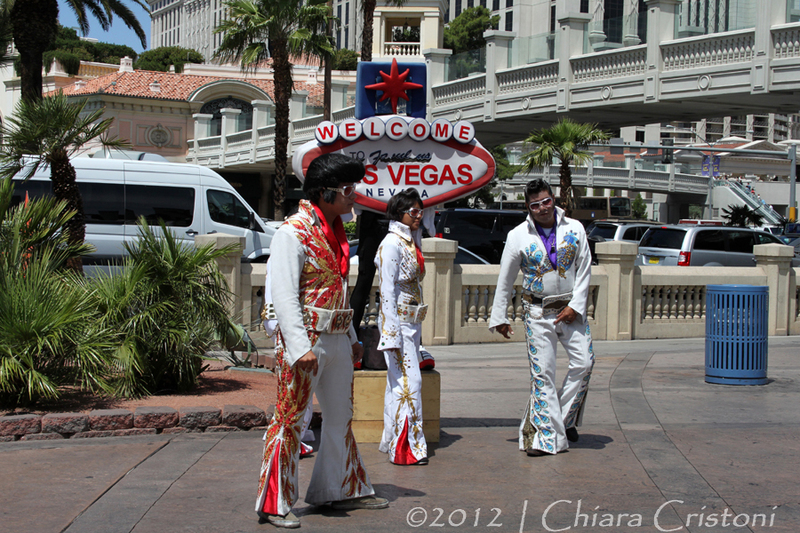 And then you have the people: Elvis impersonators, the Disney characters, street performers. Anything seems possible. Anything is possible. 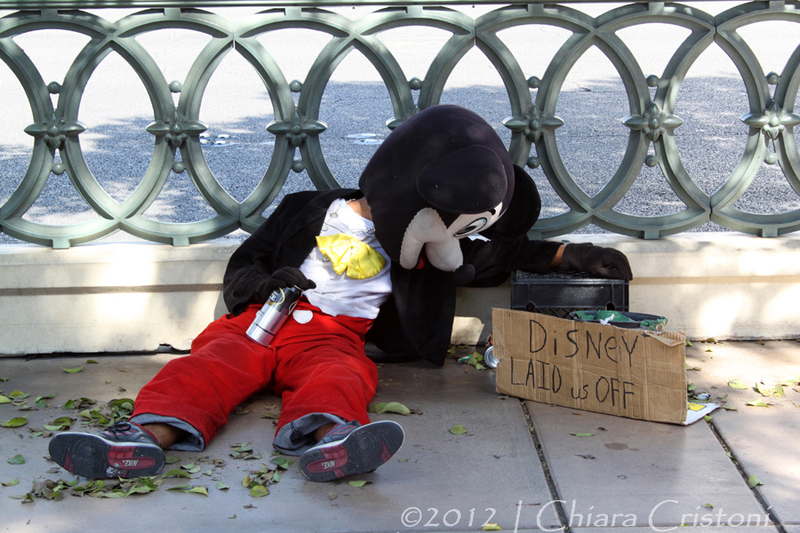 “What happens here, stays here” though. 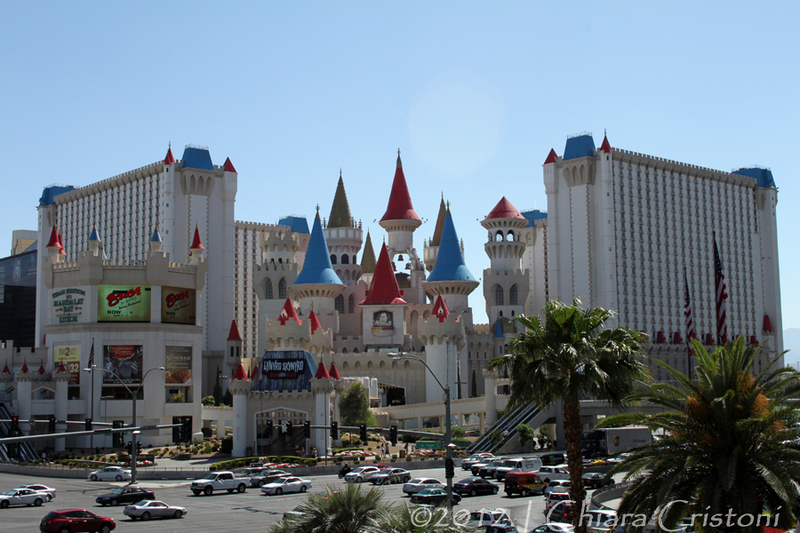 Everything in Las Vegas revolves around gambling and entertainment, and every hotel has its own casino. Inside it all goes timeless: no windows, no clocks, artificial lights and aircon 24/7. Is it day or is it night?! You could spend your whole holiday just trying your luck at the money-machines (we spent a handful of dollars between us and then decided that was it). And what doesn’t leave your pocket by gambling will probably leave it by drinking in one of the countless bars and clubs in town. 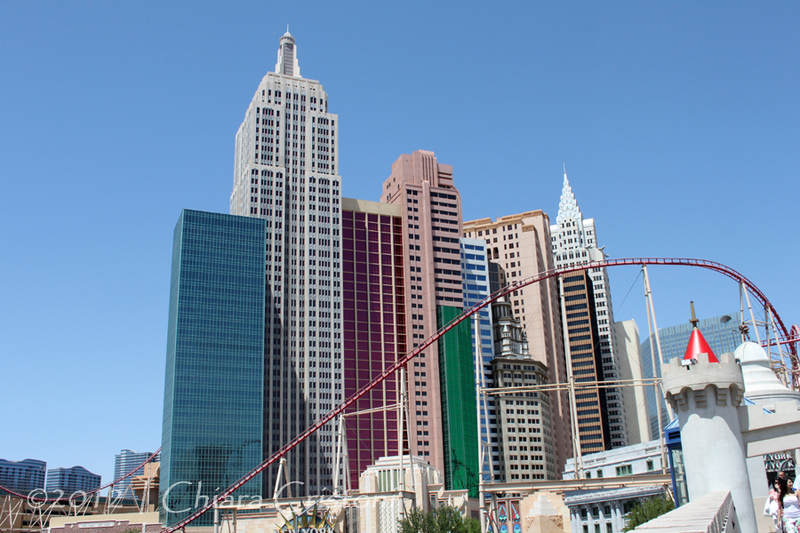 Las Vegas is completely crazy and so different from my usual choice of travel destinations, but I loved it and I left wishing I had spent more time there! 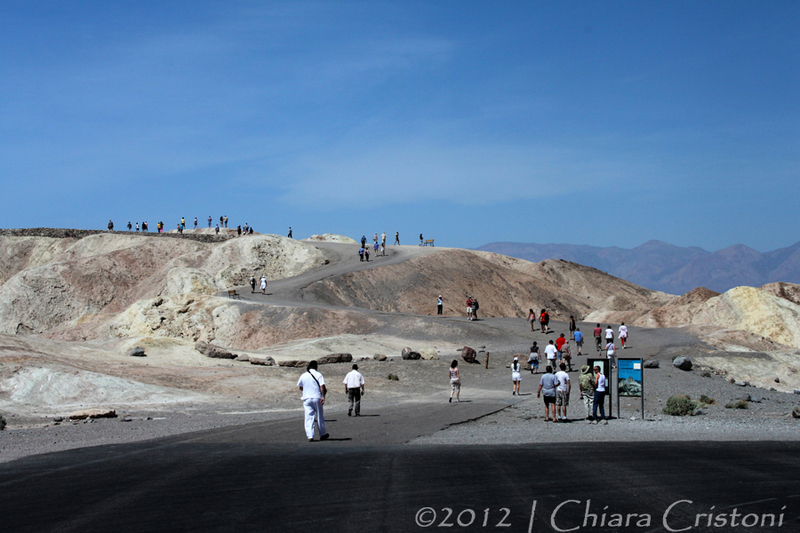 Michelangelo Antonioni named a whole 1970 movie after this place and shot some of the scenes on location. 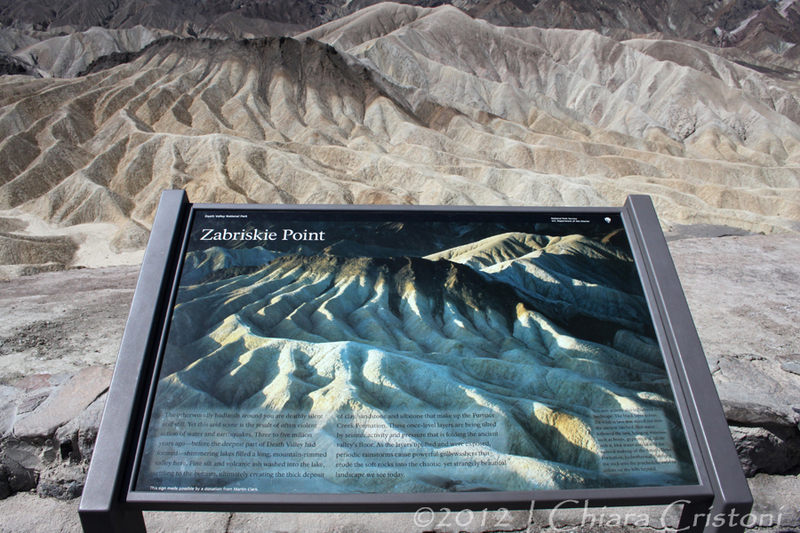 On the eastern fringe of Death Valley near the Nevada border, this area is characterised by erosional landscape with breathtaking views of canyons. 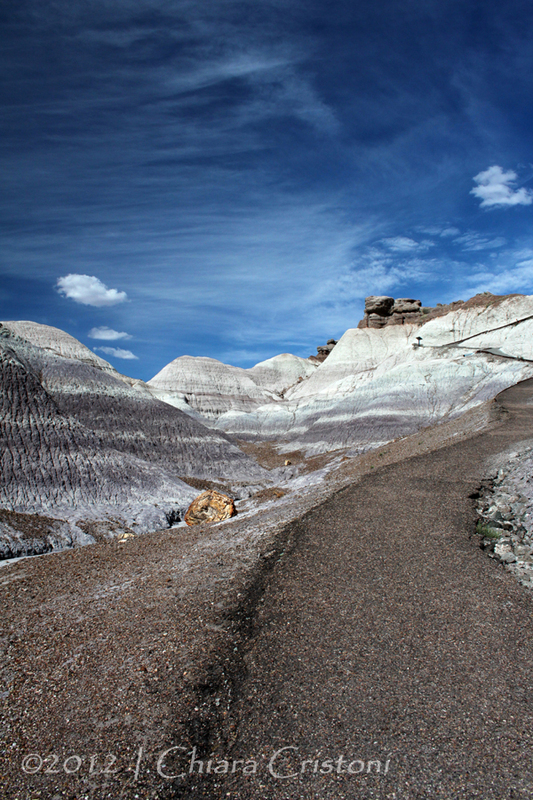 Stripes of yellow and grey rock formations surround you as you stand on the main viewpoint. 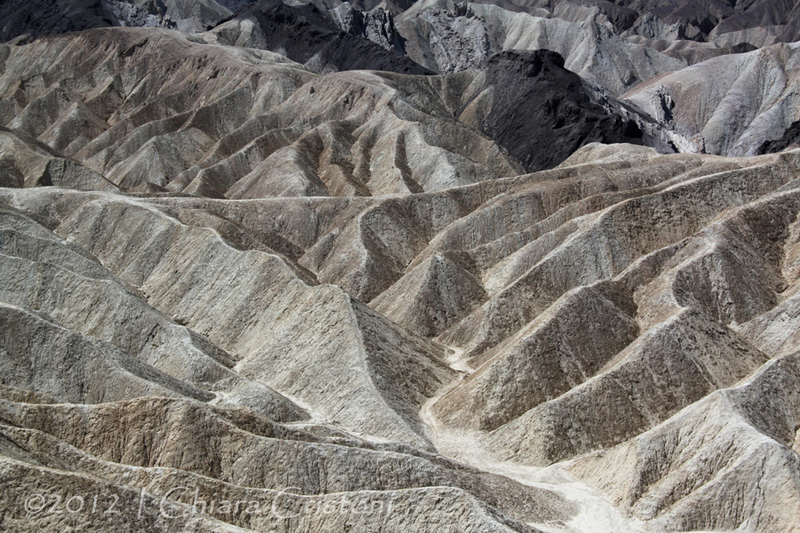 Badlands: barren landscape, almost lunar, out of this world. 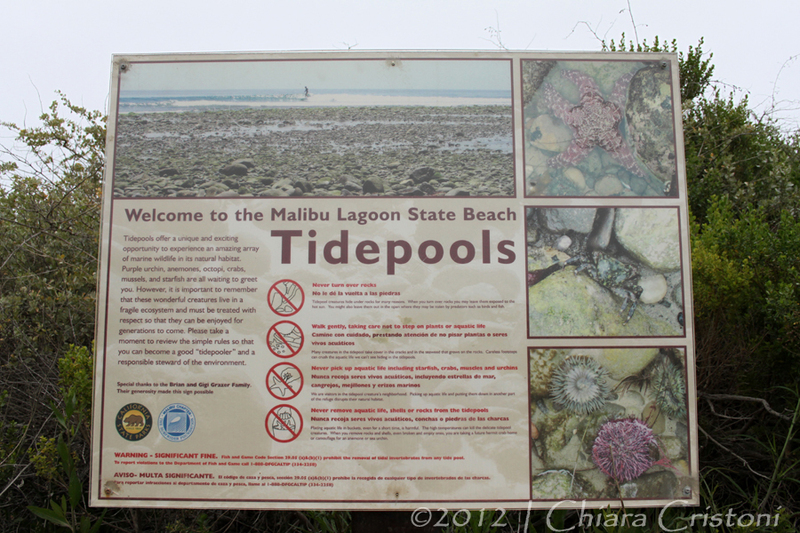 Definitely worth a stop while you are travelling the area!